OMG, OMG, OMG if we had tele-transportation to travel around the world, I would be at this exhibition in an instant. Please MoMA, fly me to New York so that I can do a proper review of the exhibition! 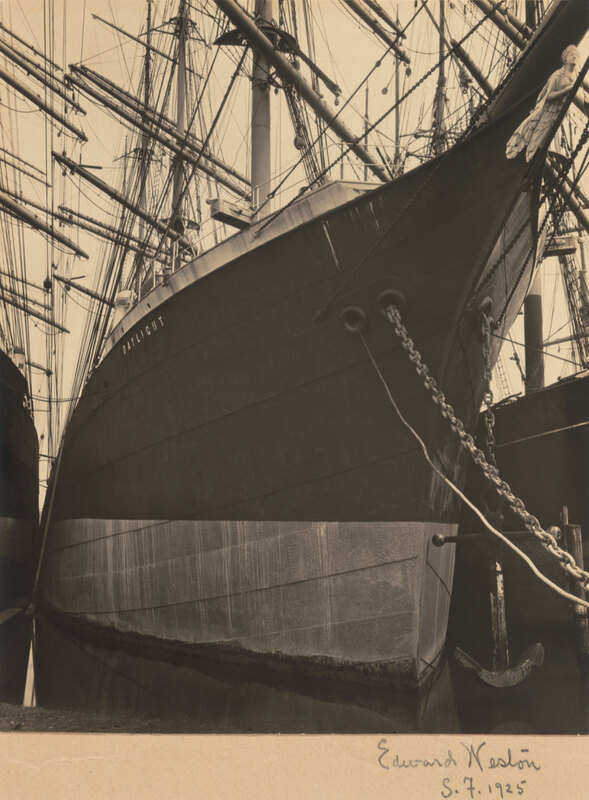 Not only are there photographs from well known artists that I have never seen before – for example, the brooding mass of Boat, San Francisco (1925) by Edward Weston with the name of the boat… wait for it… ‘DAYLIGHT’ – there are also outstanding photographs from artists that I have never heard of before. 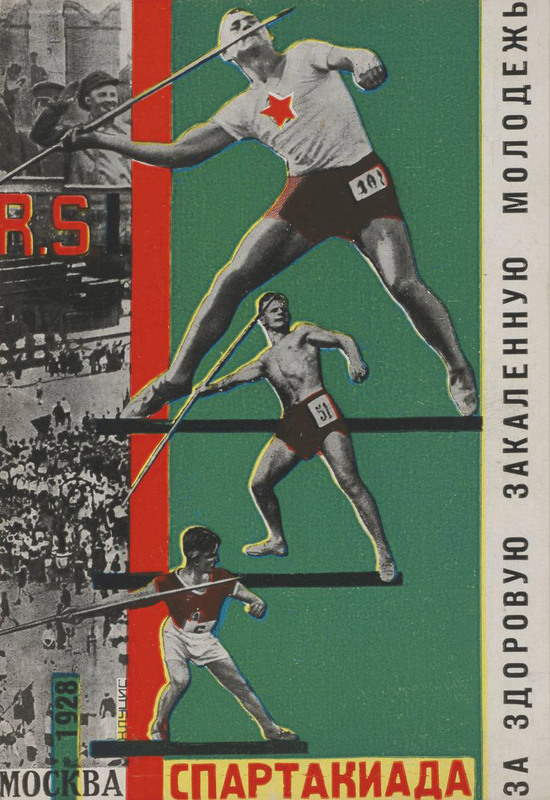 There is so much to like in this monster posting, from the glorious choreography of British ‘Chute Jumpers (1937) to the muscular symmetry and abstraction of Rodchenko’s Dive (1934); from the absolutely stunning light and movement of Riefenstahl’s Nocturnal Start of Decathlon 1,500m Race (August 1936) to the ecstatic, ghost-like swimming in mud apparitions of Kate Steinitz’s Backstroke (1930) – an artist who I knew nothing about (Kate Steinitz was a German-American artist and art historian affiliated with the European Bauhaus and Dadaist movements in the early 20th century. She is best known for her collaborative work with the artist Kurt Schwitters, and, in later life, her scholarship on Leonardo da Vinci). 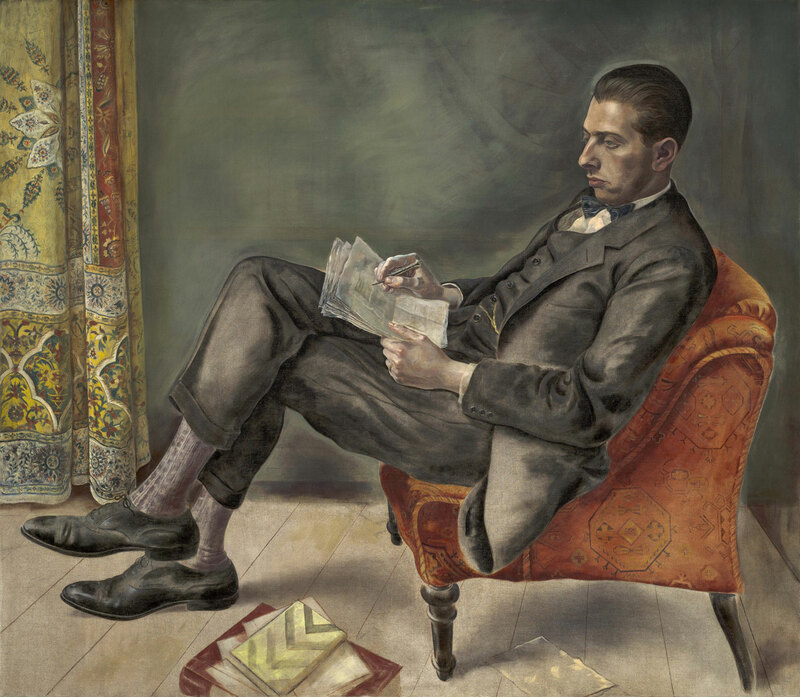 Another artist to flee Germany in the mid-1930s to evade the persecution of the Nazis. In fact, when you look through the checklist for this exhibition I look at the country of origin of the artist, and the date of their death. There are a lot of artists from Germany and France. 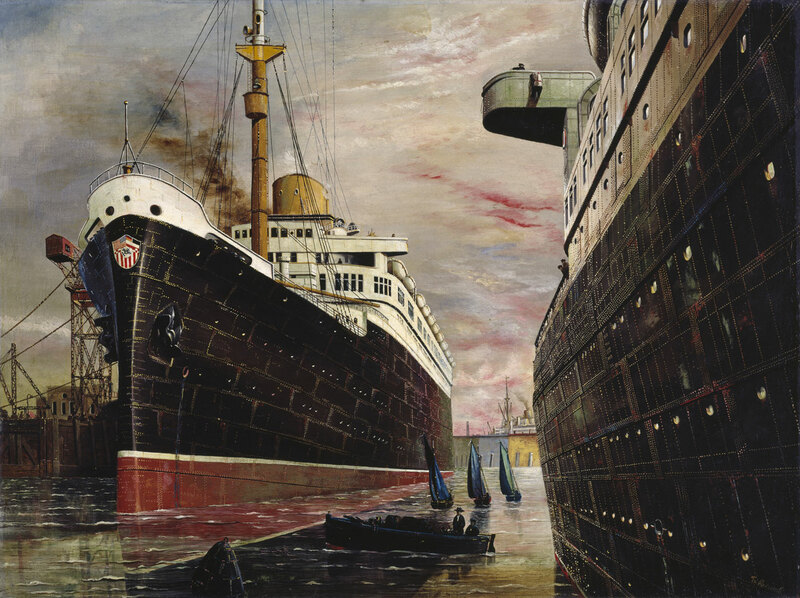 Either they lived through the maelstrom of the Second World War and survived, escaped to America or England, or died during the war and their archive was lost (such as the artist Robert Petschow (German, 1888-1945)). For some artists surviving the war was not enough either… trapped behind the Iron Curtain after repatriation, artists such as Edmund Kesting went unacknowledged in their lifetime. What a tough time it must have been. 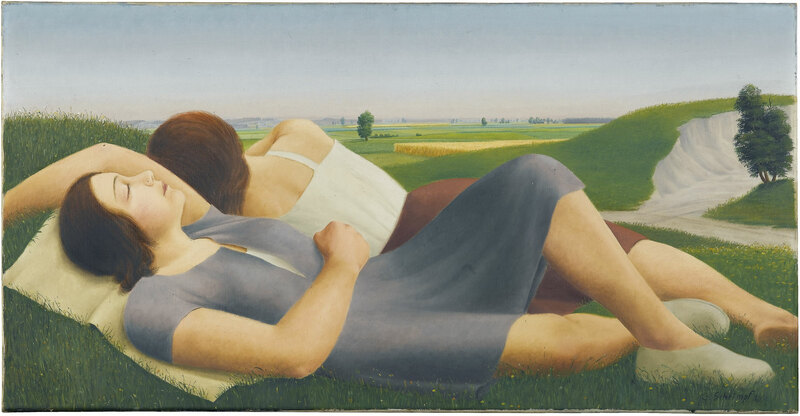 To have created this wonderful avant-garde art and then to have seen it dashed against the rocks of violence, prejudice and bigotry – firstly degenerate, then non-conforming to Communist ideals. Out of the six sections of the exhibition (The Modern World, Purisms, Reinventing Photography, The Artist’s Life, Between Surrealism and Magic Realism, and Dynamics of the City) it would seem that the section ‘Reinventing Photography’ is the weakest – going from the checklist – with a lack of really memorable images for this section, hence only illustrated in this posting by one image. But this is a minor quibble. When you have images such as Anne W. Brigman’s A Study in Radiation (1924) or Edmund Kesting’s magnificent Glance to the Sun (Blick zur Sonne) (1928) who cares! I just want to see them all and soak up their atmosphere. PS. There is an excellent website titled Object:Photo to accompany the exhibition. It contains sections that map and compare photographs, connect and map artists’ lives along with many more images from the collection, conservation analysis and essays about the works. Well worth a look. Note: Images below correspond to their sections in the exhbition. 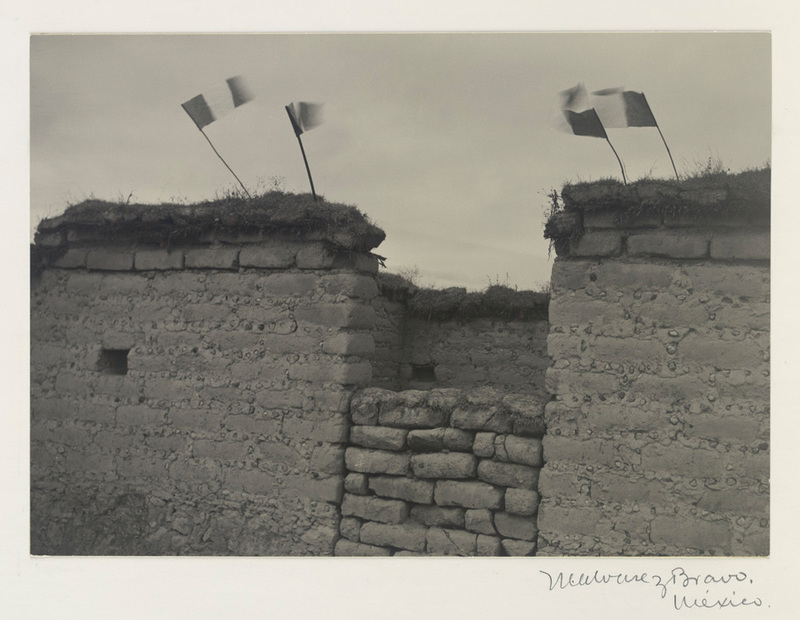 “Modern Photographs from the Thomas Walther Collection, 1909-1949, on view from December 13, 2014, to April 19, 2015, explores photography between the First and Second World Wars, when creative possibilities were never richer or more varied, and when photographers approached figuration, abstraction, and architecture with unmatched imaginative fervor. 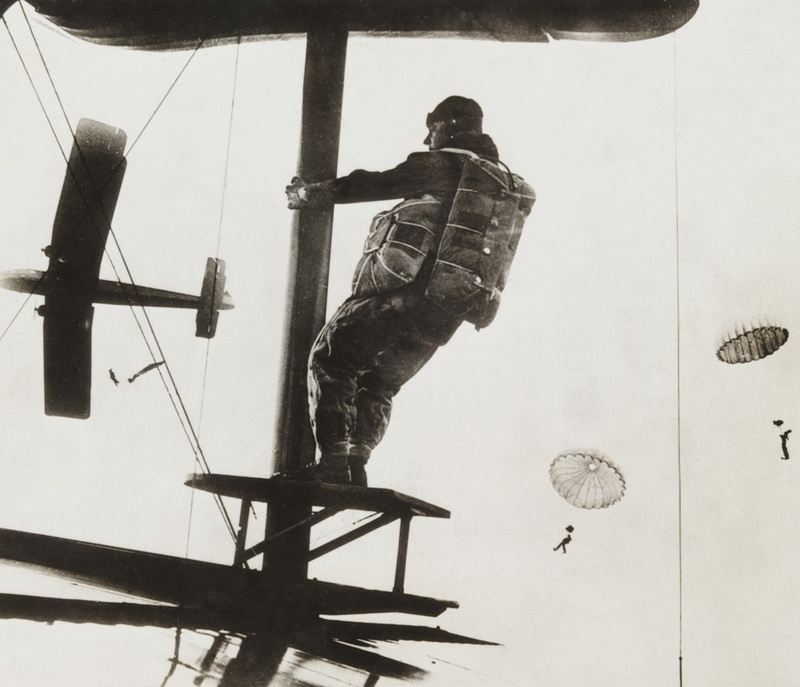 This vital moment is dramatically captured in the photographs that constitute the Thomas Walther Collection, a remarkable group of works presented together for the first time through nearly 300 photographs. Made on the street and in the studio, intended for avant-garde exhibitions or the printed page, these objects provide unique insight into the radical intentions of their creators. 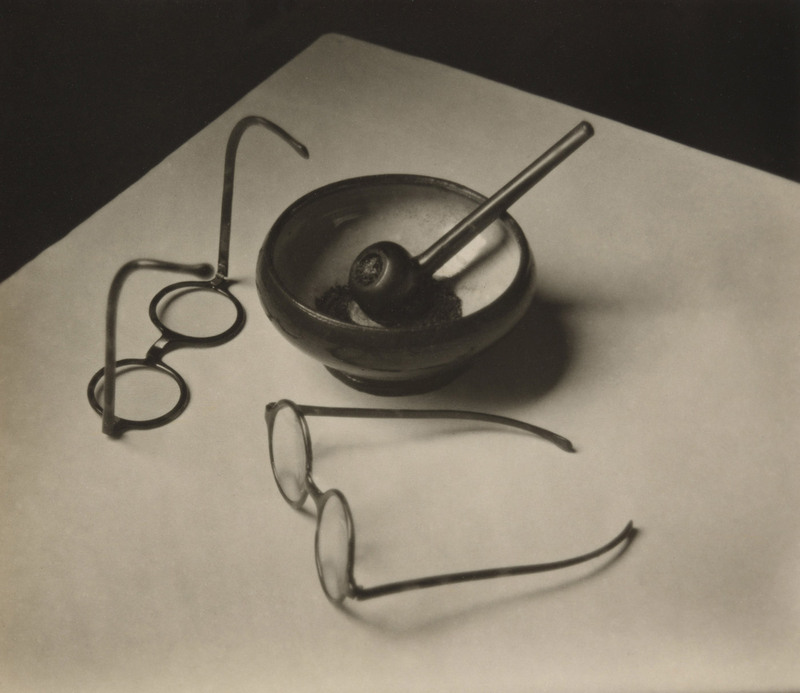 Iconic works by such towering figures as Berenice Abbott, Karl Blossfeldt, Alvin Langdon Coburn, El Lissitzky, Lucia Moholy, László Moholy-Nagy, Aleksandr Rodchenko, and Paul Strand are featured alongside lesser-known treasures by more than 100 other practitioners. The exhibition is organized by Quentin Bajac, the Joel and Anne Ehrenkranz Chief Curator of Photography, and Sarah Hermanson Meister, Curator, Department of Photography, MoMA. The exhibition coincides with Object:Photo. Modern Photographs: The Thomas Walther Collection 1909-1949, the result of a four-year collaborative project between the Museum’s departments of Photography and Conservation, with the participation of over two dozen leading international photography scholars and conservators, making it the most extensive effort to integrate conservation, curatorial, and scholarly research efforts on photography to date. That project is composed of multiple parts including a website that features a suite of digital-visualization research tools that allow visitors to explore the collection, a hard-bound paper catalogue of the entire Thomas Walther collection, and an interdisciplinary symposium focusing on ways in which the digital age is changing our engagement with historic photographs. 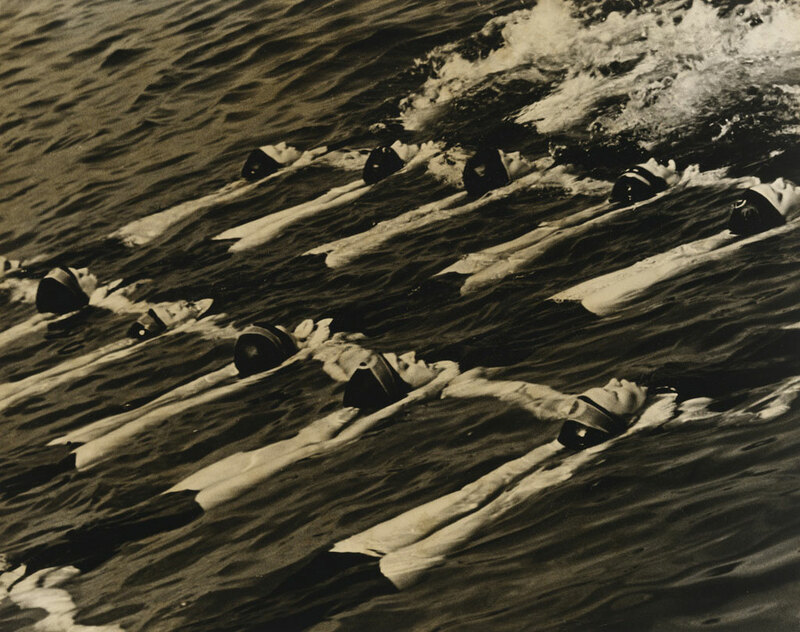 In the 1920s and ’30s photography underwent a period of exploration, experimentation, technical innovation, and graphic discovery so dramatic that it generated repeated claims that the true age of discovery was not when photography was invented but when it came of age, in this era, as a dynamic, infinitely flexible, and easily transmissible medium. The Thomas Walther Collection concentrates on that second moment of growth. 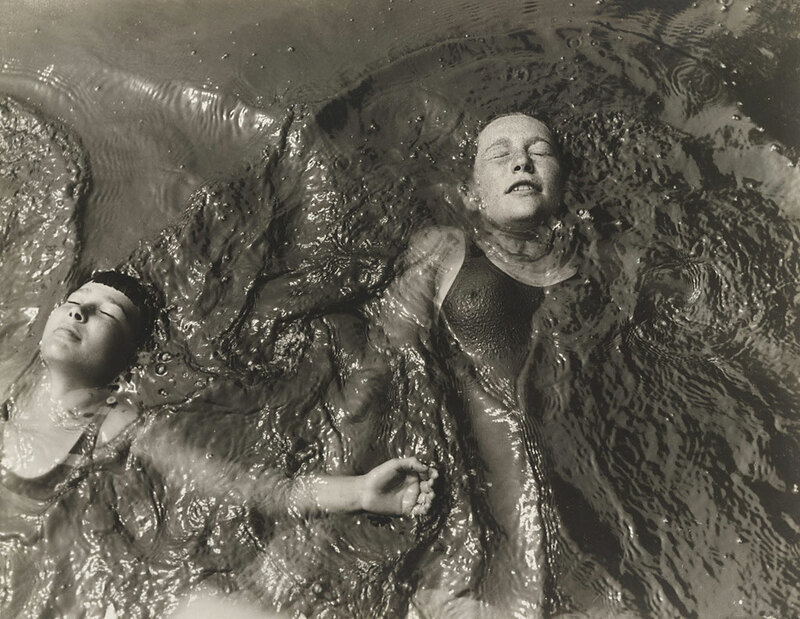 The Walther Collection’s 341 photographs by almost 150 artists, most of them European, together convey a period of collective innovation that is now celebrated as one of the major episodes of modern art. 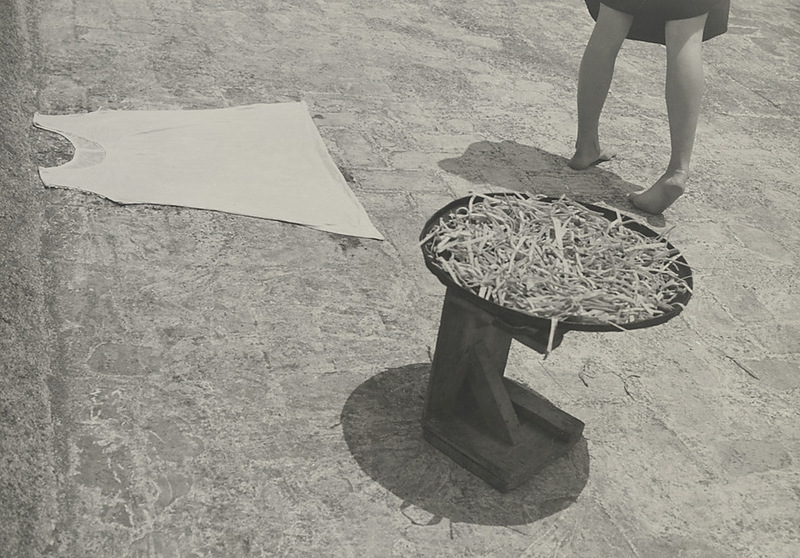 Our research is based on the premise that photographs of this period were not born as disembodied images; they are physical things – discrete objects made by certain individuals at particular moments using specific techniques and materials. Shaped by its origin and creation, the photographic print harbors clues to its maker and making, to the causes it may have served, and to the treatment it has received, and these bits of information, gathered through close examination of the print, offer fresh perspectives on the history of the era. “Object:Photo” – the title of this study – reflects this approach. 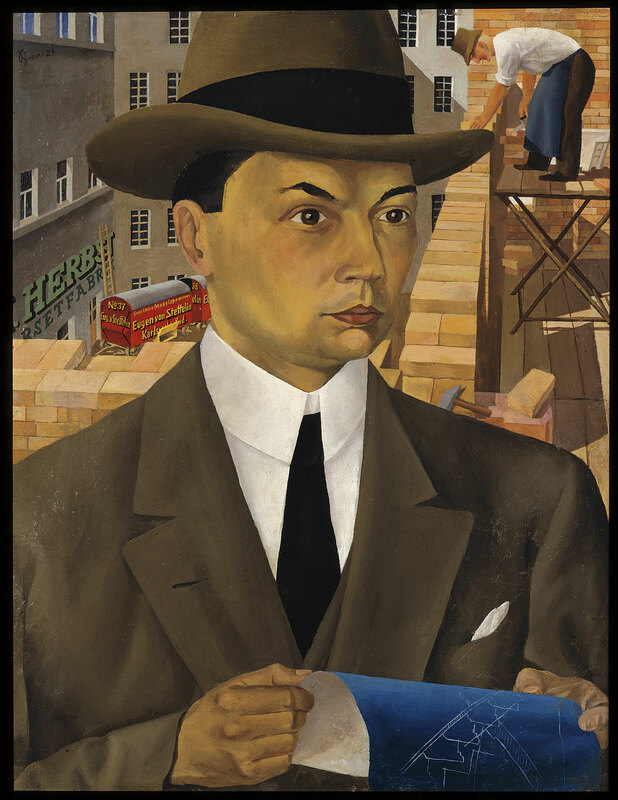 In 2010, the Andrew W. Mellon Foundation gave the Museum a grant to encourage deep scholarly study of the Walther Collection and to support publication of the results. Led by the Museum’s Departments of Photography and Conservation, the project elicited productive collaborations among scholars, curators, conservators, and scientists, who investigated all of the factors involved in the making, appearance, condition, and history of each of the 341 photographs in the collection. The broadening of narrow specializations and the cross-fertilization between fields heightened appreciation of the singularity of each object and of its position within the history of its moment. Creating new standards for the consideration of photographs as original objects and of photography as an art form of unusually rich historical dimensions, the project affords both experts and those less familiar with its history new avenues for the appreciation of the medium. 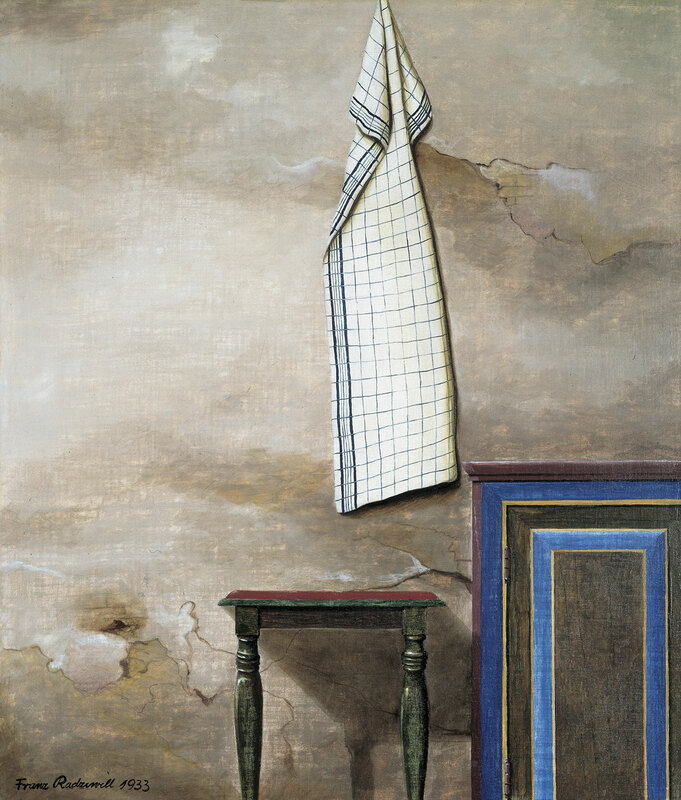 The results of the project are presented in multiple parts: on the website, in a hard-bound paper catalogue of the entire Thomas Walther Collection (also titled Object:Photo), and through an interdisciplinary symposium focusing on the ways in which the digital age is changing our engagement with historic photographs. in 1925 (a small camera using strips of 35mm motion-picture film), of enlargers to make positive prints from the Leica’s little negatives, and of easy-to-use photographic papers – each of these was respectively a watershed event. 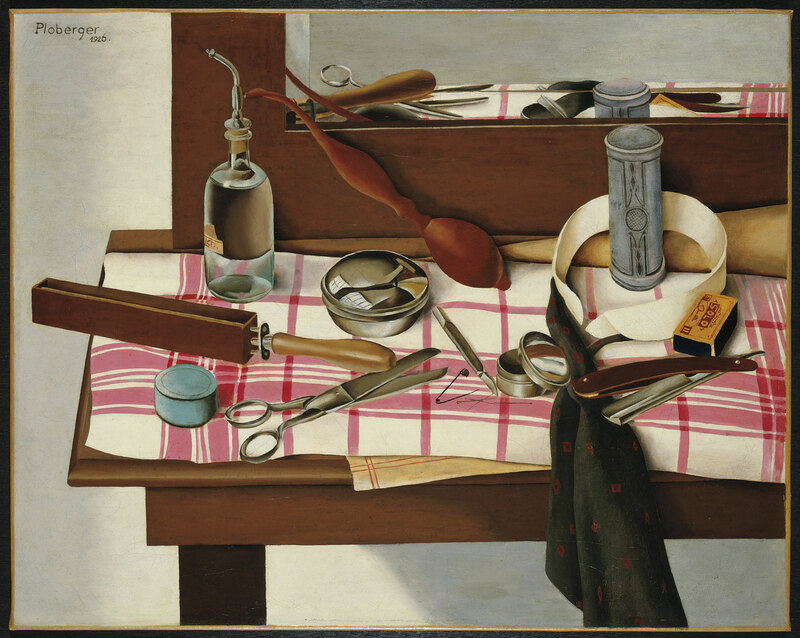 Immediately sensing the potential of these tools, artists began to explore the medium; without any specialized training, painters such as László Moholy-Nagy and Aleksandr Rodchenko could become photographers and teachers almost overnight. Excitedly and with an open sense of possibility, they freely experimented in the darkroom and in the studio, producing negative prints, collages and photomontages, photograms, solarizations, and combinations of these. Legions of serious amateurs also began to photograph, and manufacturers produced more types of cameras with different dimensions and capacities: besides the Leica, there was the Ermanox, which could function in low light, motion-picture cameras that could follow and stop action, and many varieties of medium- and larger-format cameras that could be adapted for easy transport. The industry responded to the expanding range of users and equipment with a bonanza of photographic papers in an assortment of textures, colors, and sizes. Multiple purposes also generated many kinds of prints: best for reproduction in books or newspapers were slick, ferrotyped glossies, unmounted and small enough to mail, while photographs for exhibition were generally larger and mounted to stiff boards. 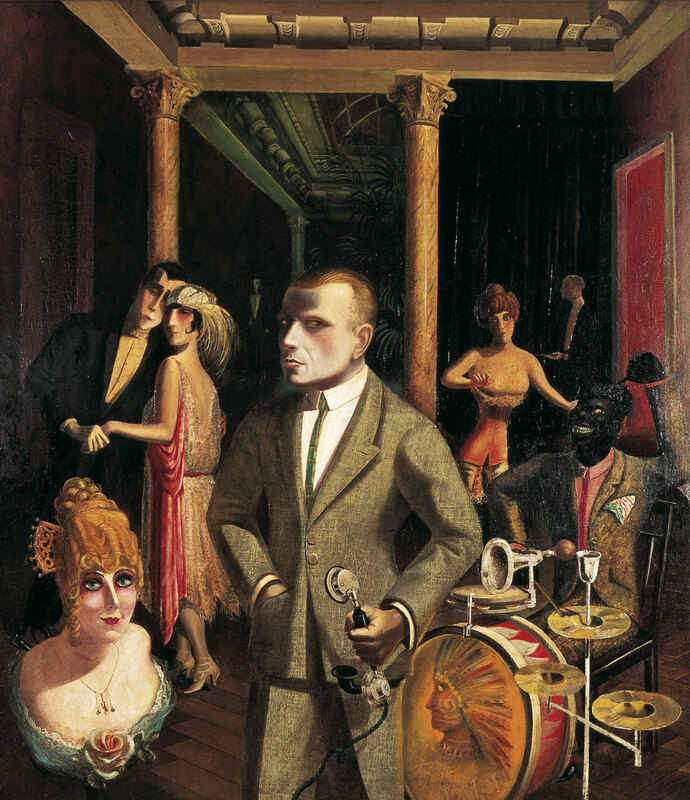 Made by practitioners ranging from amateurs to professional portraitists, journalists, illustrators, designers, critics, and artists of all stripes, the pictures in the Walther Collection are a true representation of the kaleidoscopic multiplicity of photography in this period of diversification. Latvian painter, sculptor, graphic artist, designer and teacher, active in Russia. He was an important exponent of Russian Constructivism. 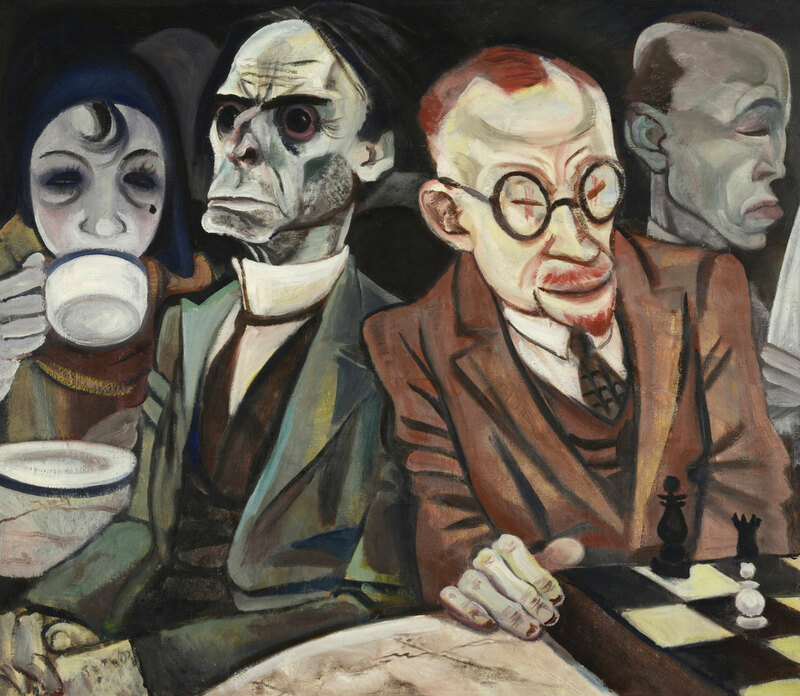 He studied in Riga and Petrograd (now St Petersburg), but in the 1917 October Revolution joined the Latvian Rifle Regiment to defend the Bolshevik government; his sketches of Lenin and his fellow soldiers show Cubist influence. In 1918 he designed posters and decorations for the May Day celebrations and he entered the Free Art Studios (Svomas) in Moscow, where he studied with Malevich and Antoine Pevsner. 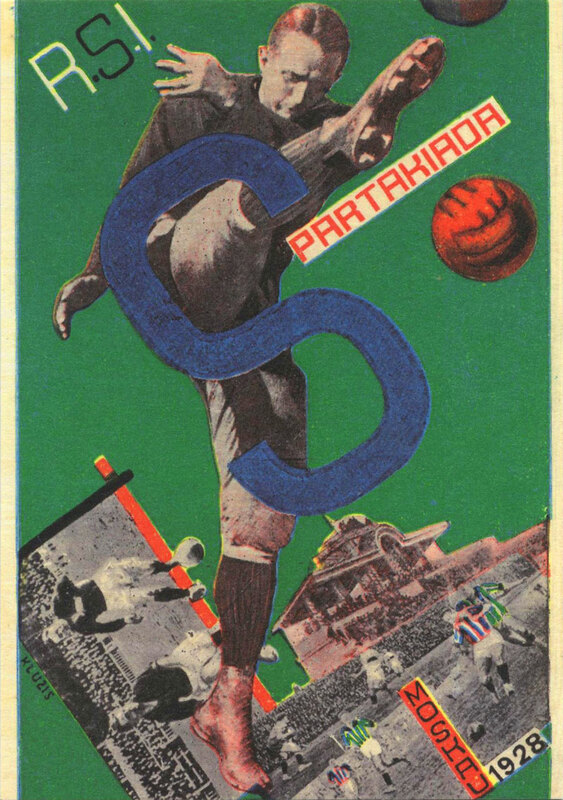 Dynamic City (1919; Athens, George Costakis priv. col., see Rudenstine, no. 339) illustrates his adoption of the Suprematist style. In 1920 Klucis exhibited with Pevsner and Naum Gabo on Tver’skoy Boulevard in Moscow; in the same year Klucis joined the Communist Party. In 1920-21 he started experimenting with materials, making constructions from wood and paper that combined the geometry of Suprematism with a more Constructivist concern with actual volumes in space. In 1922 Klucis applied these experiments to utilitarian ends when he designed a series of agitprop stands based on various combinations of loudspeakers, speakers’ platforms, display units, film projectors and screens. He taught a course on colour in the Woodwork and Metalwork Faculty of the Vkhutemas (Higher Artistic and Technical Workshops) from 1924 to 1930, and in 1925 helped to organize the Soviet section at the Exposition Internationale des Arts Décoratifs et Industriels Modernes in Paris. 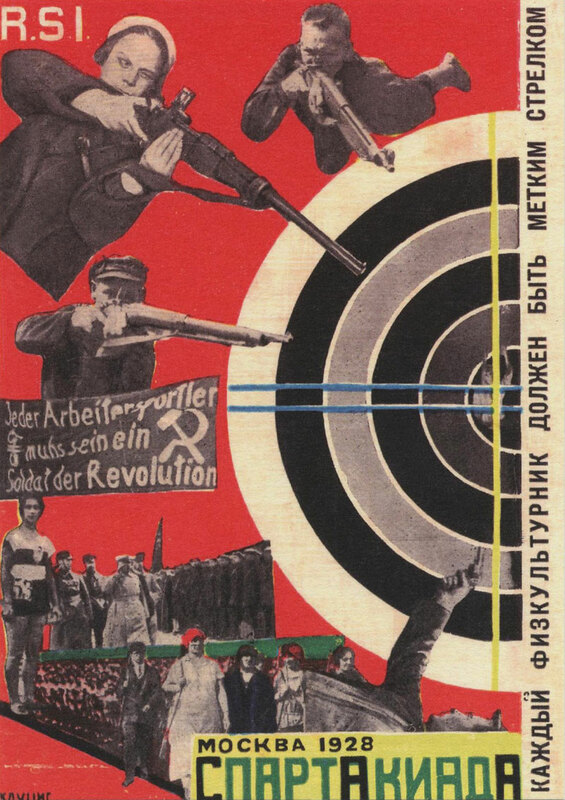 During the 1920s he became increasingly interested in photomontage, using it in such agitprop posters as ‘We will repay the coal debt to the country’ (1928; e.g. New York, MOMA). During the 1930s he worked on graphic and typographical design for periodicals and official publications. He was arrested and died during the purges in World War II. With My Head Hanging Down before the Parachute Opened . . .
Robert Petschow was studying in Danzig as a free balloon pilot in the West Prussian air force. During the First World War Petschow was a balloon observer with the rank of lieutenant in Poland, France and Belgium. 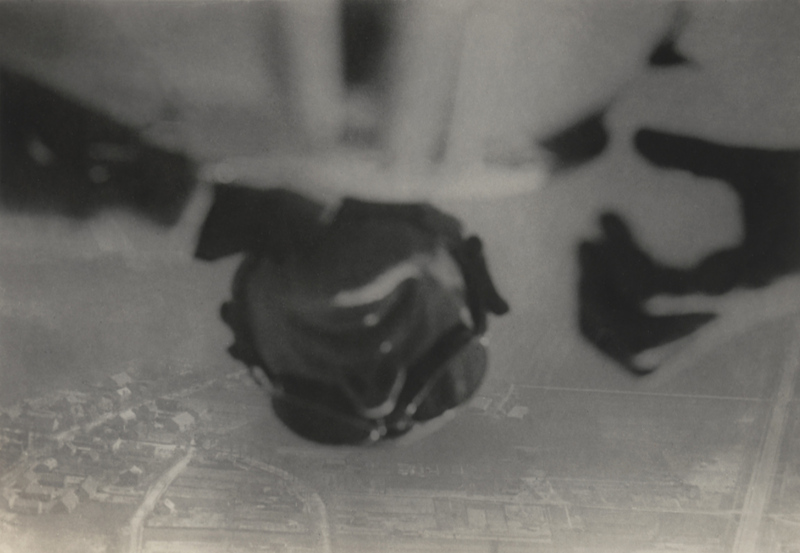 Maybe it was the work of a balloon observer which led him to photography, in which he was worked freelance from 1920. 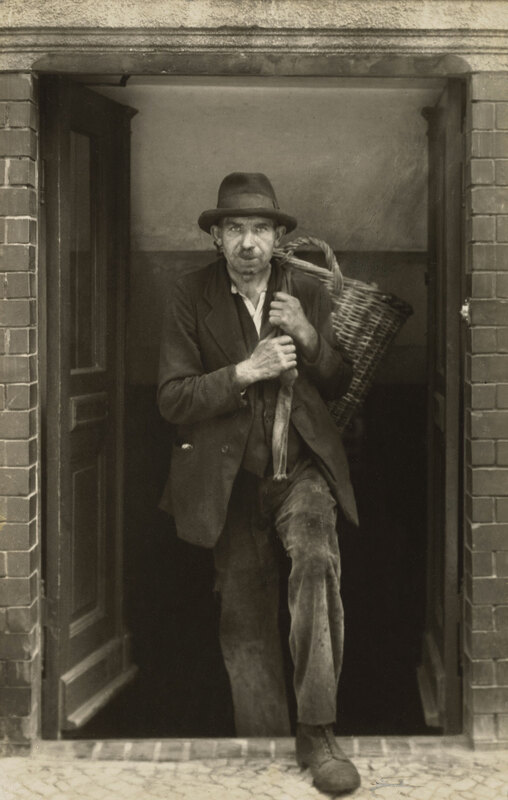 His images appeared in the prestigious photographic yearbook The German photograph in which he was presented with photographers such as Karl Blossfeldt, Albert Renger-Patzsch Chargesheimer and Erich Salomon. The book Land of the Germans, which was published in 1931 by Robert Diesel and includes many photographs of Petschow went on to be published in four editions. In 1931 he journeyed with the airship LZ 127, the “Graf Zeppelin” to Egypt. He participated as an unofficial member of the crew to document the trip photographically. In 1936, at the age of 48 years, Petschow joined the rank of captain in the Air Force and ended his work as a senior editor at the daily newspaper The West, a position he held from 1930. For the following years, there is no information to Petschow. Even before the introduction of the handheld Leica camera in 1925, photographers were avidly exploring fresh perspectives, shaped by the unique experience of capturing the world through a lens and ideally suited to express the tenor of modern life in the wake of World War I. Looking up and down, these photographers found unfamiliar points of view that suggested a new, dynamic visual language freed from convention. 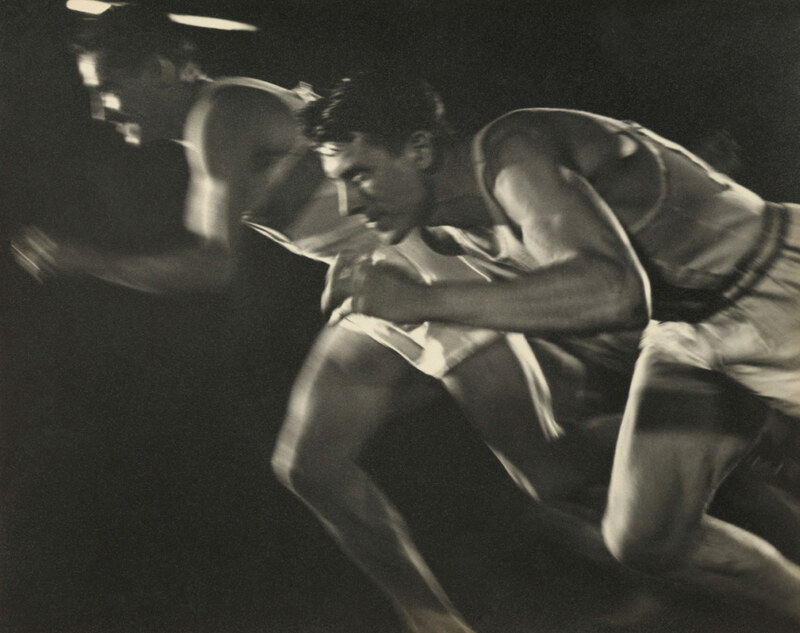 Improvements in the light sensitivity of photographic films and papers meant that photographers could capture motion as never before. At the same time, technological advances in printing resulted in an explosion of opportunities for photographers to present their work to ever-widening audiences. From inexpensive weekly magazines to extravagantly produced journals, periodicals exploited the potential of photographs and imaginative layouts, not text, to tell stories. 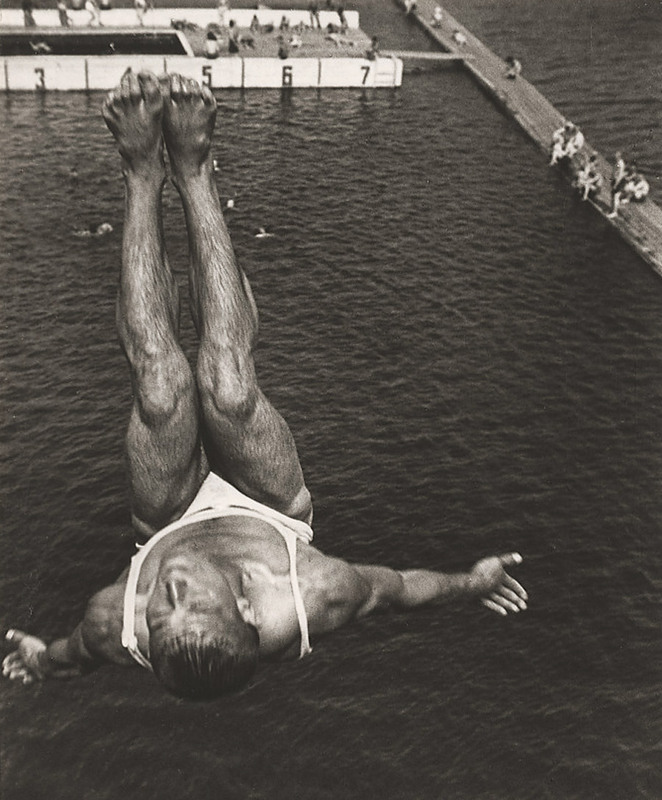 Among the photographers on view in this section are Martin Munkácsi (American, born Hungary, 1896-1963), Leni Riefenstahl (German, 1902-2003), Aleksandr Rodchenko (Russian, 1891-1956), and Willi Ruge (German, 1882-1961). Bernard Shea Horne was the son of Joseph Horne, who built a legendary department store in Pittsburgh. The younger Horne retired from the family business when he was in his thirties and moved to northern Virginia to pursue his interests in golf and photography. 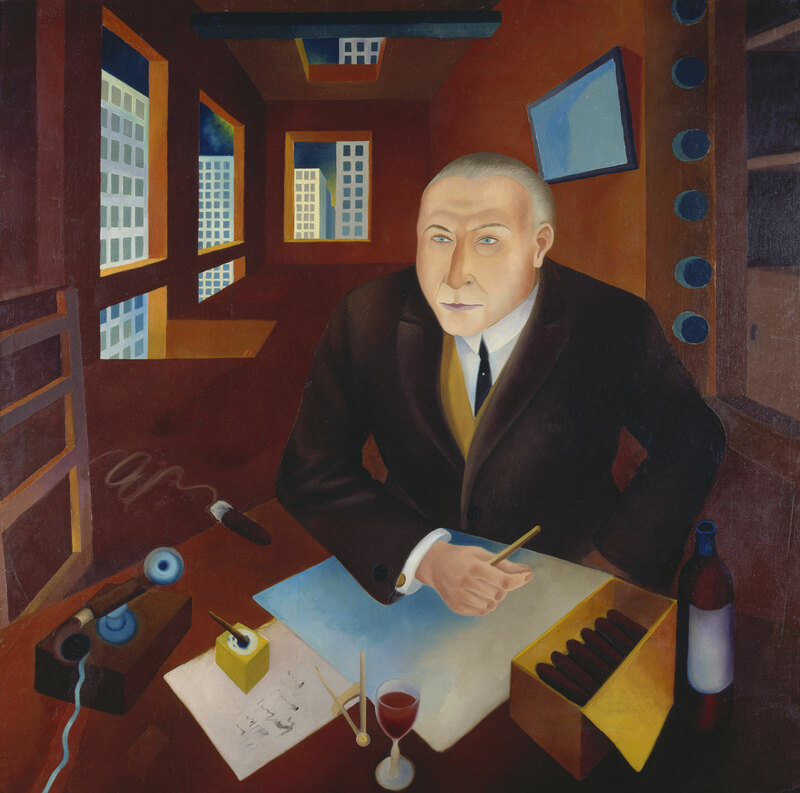 In 1916 he enrolled at the Clarence H. White School of Photography, in New York, and became friends with one of its teachers, the avant-garde painter Max Weber. 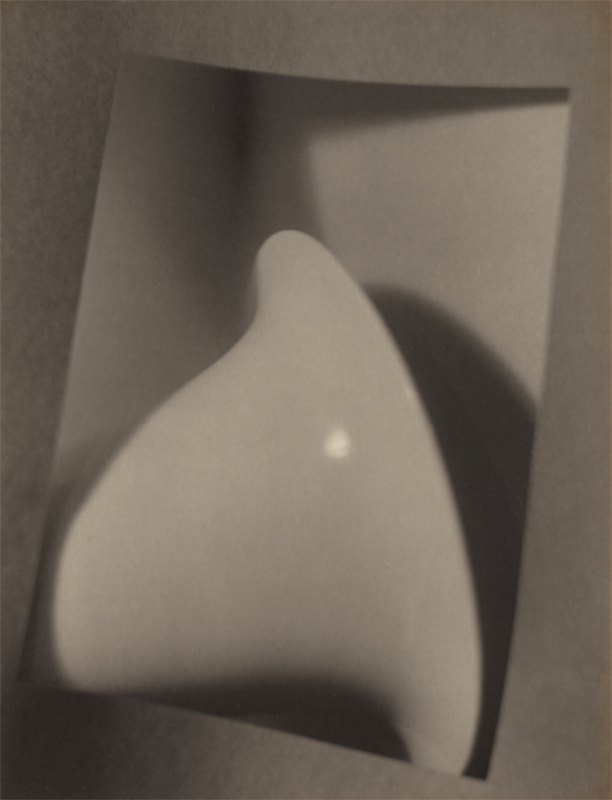 Horne produced numerous Weber-inspired design exercises, which he compiled into albums of twenty Platinum prints each. 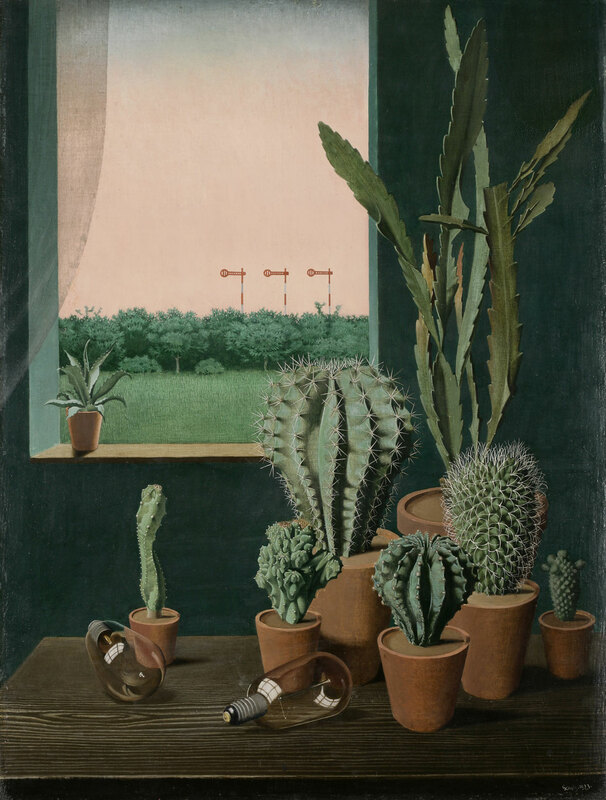 The four prints in the Thomas Walther Collection belonged to an album that he gave to Weber. In 1917 Horne was elected president of the White School’s alumni association, a post he retained until 1925. In 1918 instructor Paul L. Anderson left the school, and Horne took his place as teacher of the technique class, a job he held until 1926. 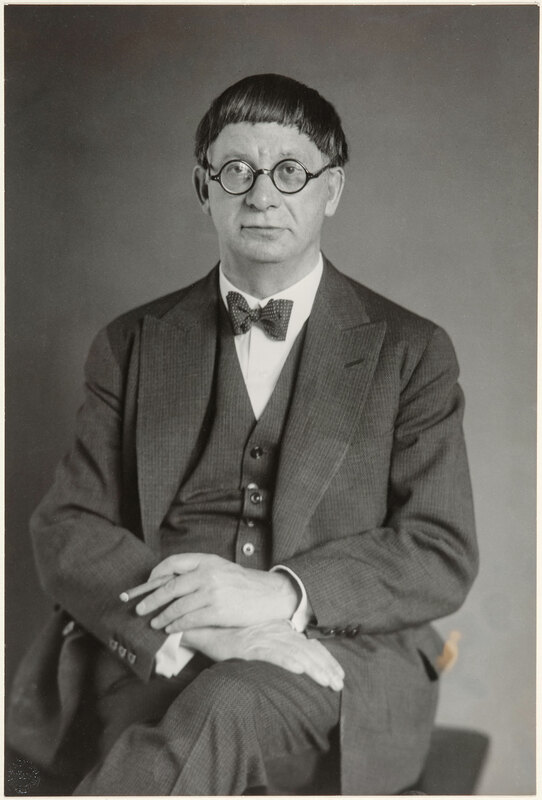 That a middle-aged man of independent means commuted to the school several days a week from Princeton, New Jersey, where he then lived with his two sons, suggests Horne’s devotion to White and his Pictorialist aims. During these years, Horne played a major role in the White School’s activities. 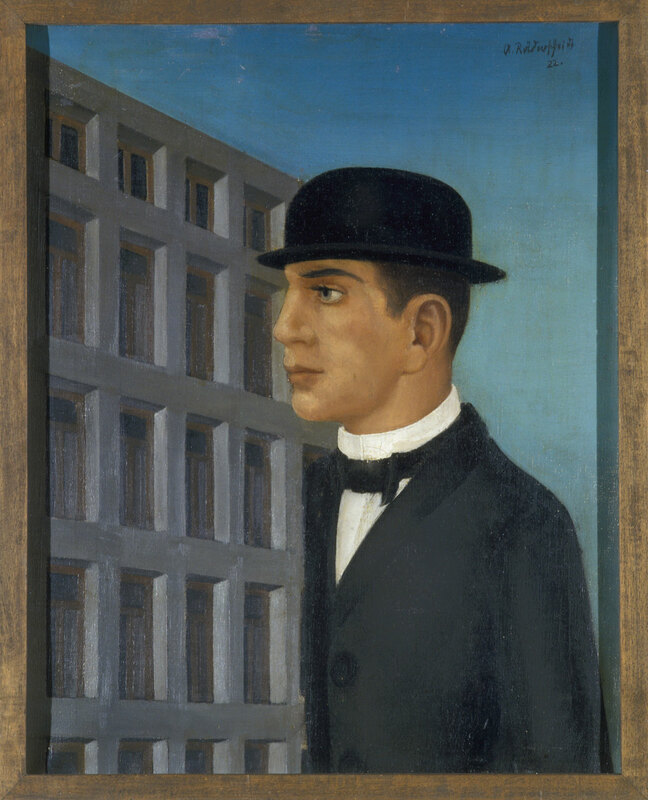 In 1920 he was given a one-person show in the exhibition room of the school’s new building, a show that the alumni bulletin described as “interesting and varied in subject and technique, rich in bromoils, strong in design.” Supportive of the practical applications of artistic photography, in 1920 White joined his school to other institutions, including the American Institute of Graphic Arts and the Art Directors Club, to form The Art Center in New York. 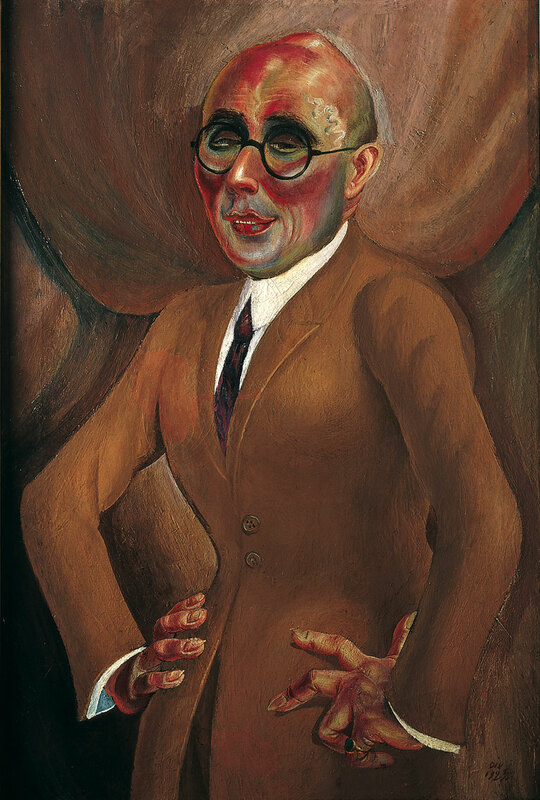 In 1926 Horne was given a one-person show at The Art Center, which marked the end of his active association with the school. 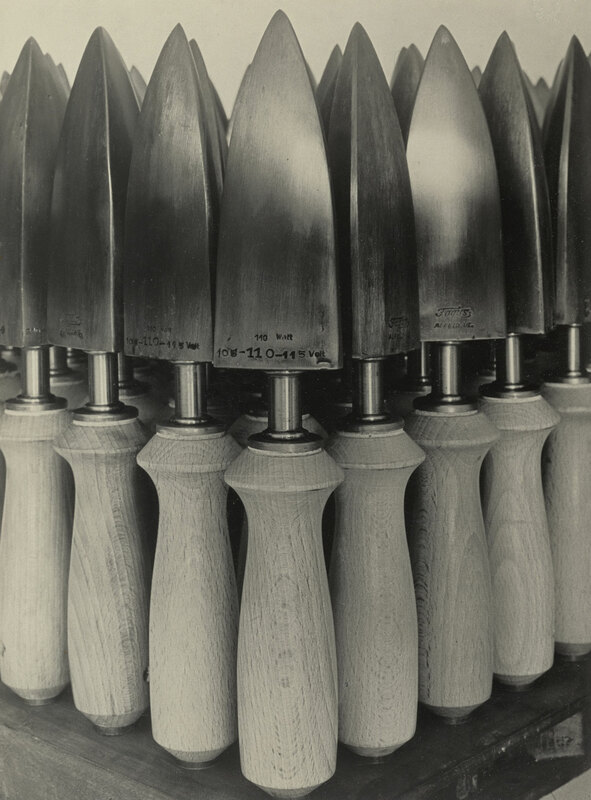 In Edward Weston’s journals, which he began on his trip to Ohio and New York in fall 1922, the artist wrote of the exhilaration he felt while photographing the “great plant and giant stacks of the American Rolling Mill Company” in Middletown, Ohio. He then went to see the great photographer and tastemaker Alfred Stieglitz. 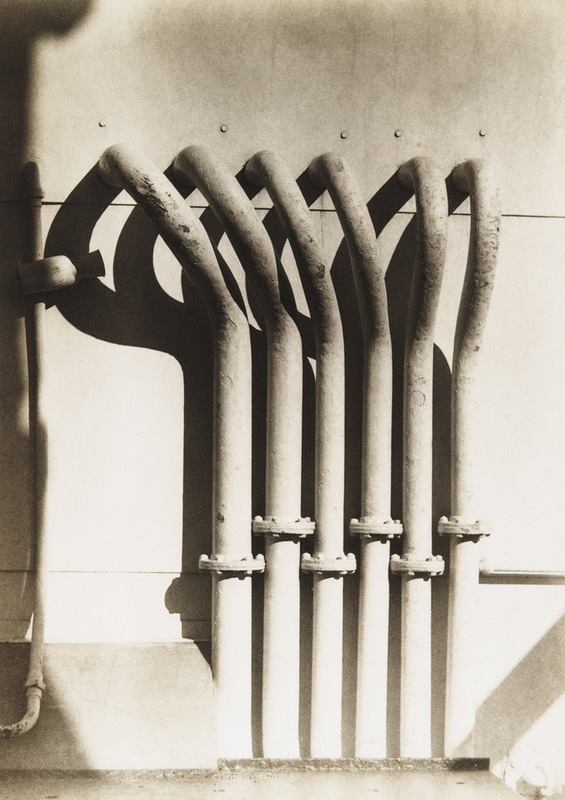 Were he still publishing the magazine Camera Work, Stieglitz told him, he would have reproduced some of Weston’s recent images in it, including, in particular, one of his smokestacks. 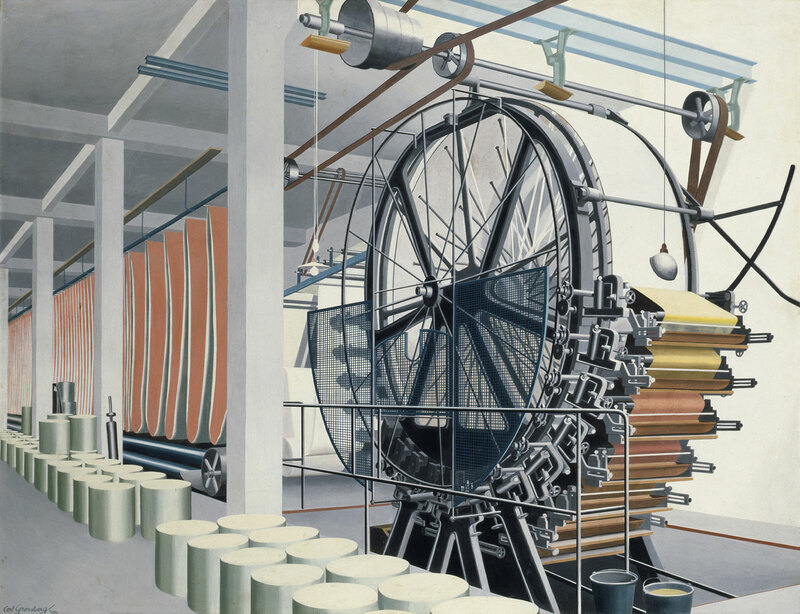 The photograph’s clarity and the photographer’s frank awe at the beauty of the brute industrial subject seemed clear signs of advanced modernist tendencies. 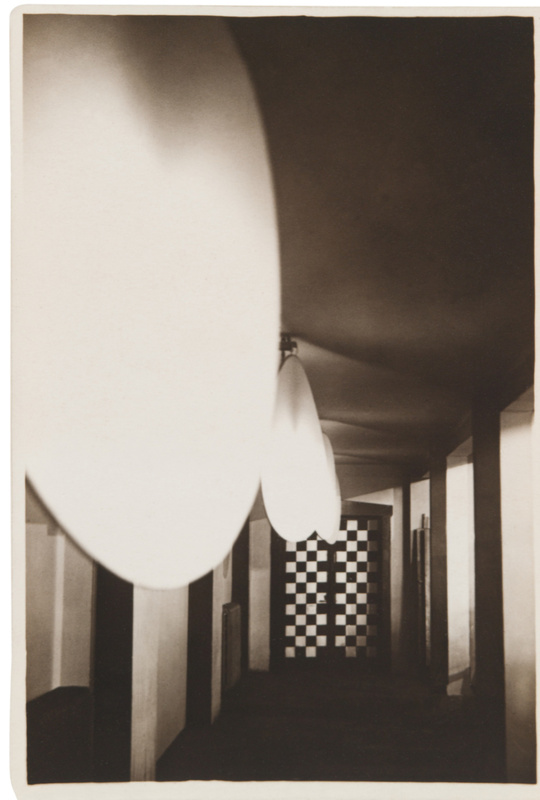 The visit to Armco was the critical pivot, the hinge between Weston’s Pictorialist past and his modernist future. 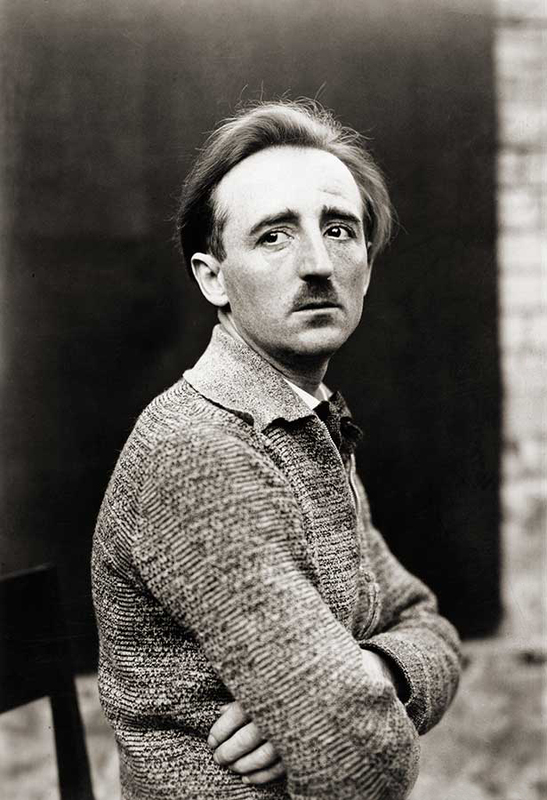 It marked a clear leave-taking from his bohemian circle in Los Angeles and the first step toward the cosmopolitan connections he made in New York and in Mexico City, where he moved a few months later to live with the Italian actress and artist Tina Modotti. 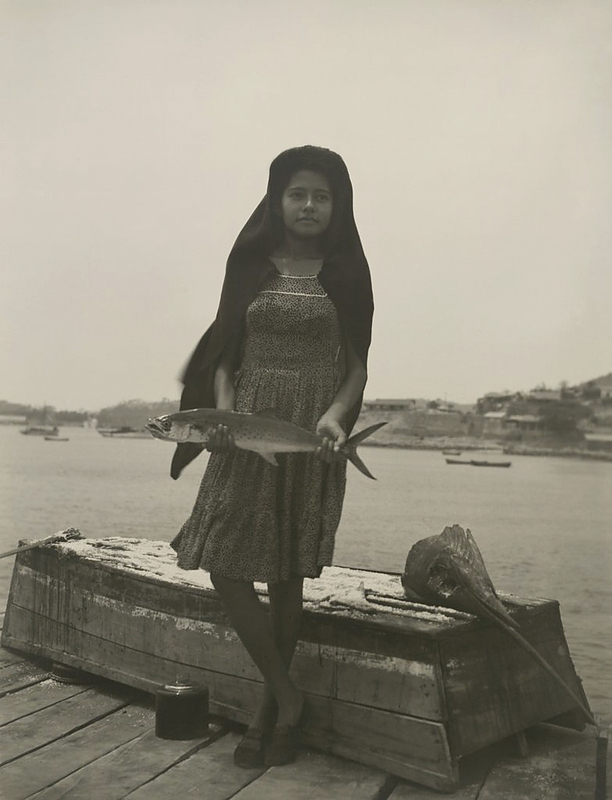 The Armco photographs went with him and became talismans of the sea change, emblematic works that decorated his studio in Mexico, along with a Japanese print and a print by Picasso. 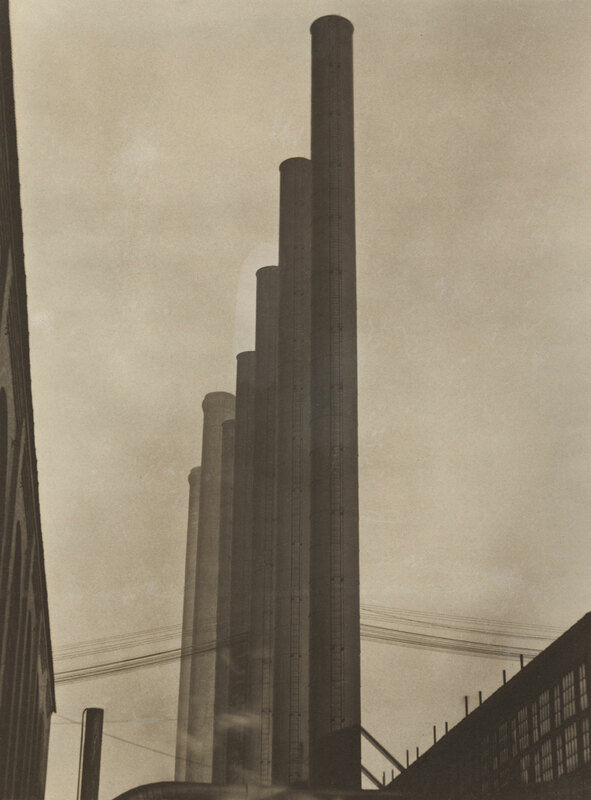 When he sent a representation of his best work to the Film und Foto exhibition in Stuttgart in 1929, one of the smokestacks was included. 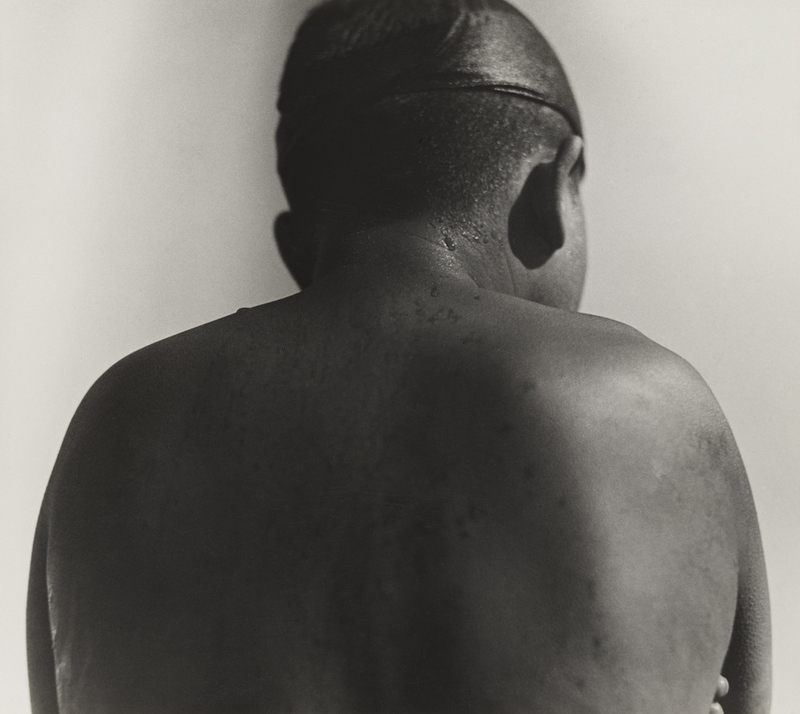 In the midst of such transformation, Weston maintained tried-and-true darkroom procedures. 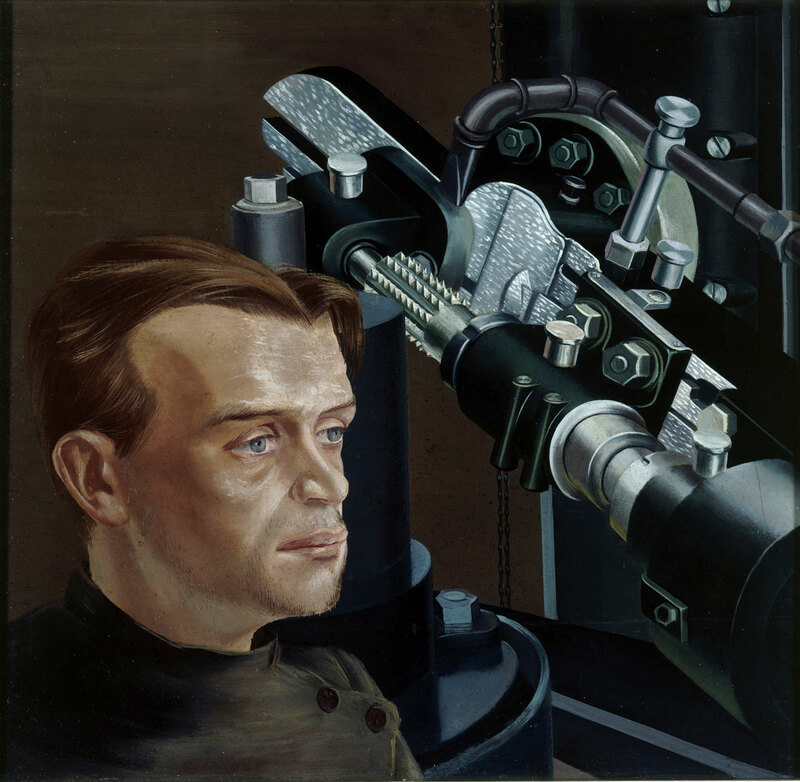 He had used an enlarger in earlier years but had abandoned the technique because he felt that too much information was lost in the projection. Instead he increasingly favored contact printing. 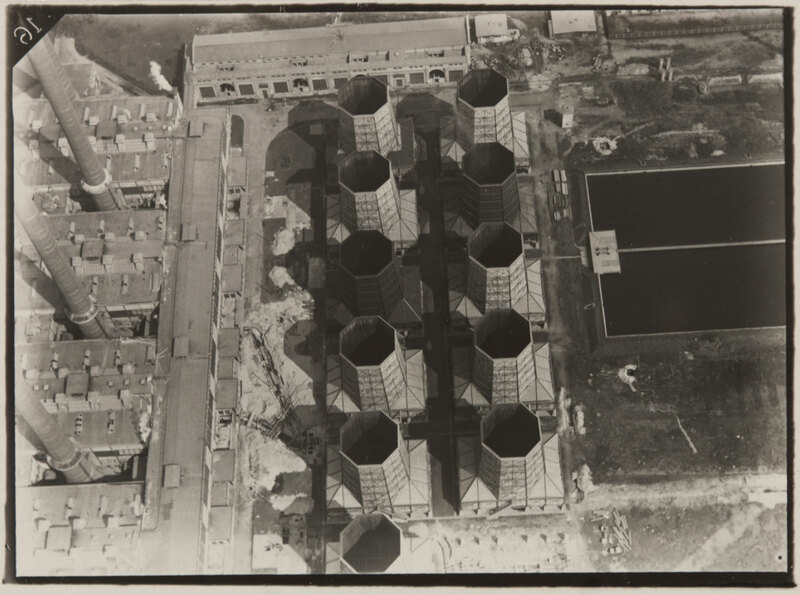 To make the smokestack print, Weston enlarged his 3 ¼ by 4 ¼ inch (8.3 by 10.8 centimeter) original negative onto an 8 by 10 inch (20.3 by 25.4 centimeter) interpositive transparency, which he contact printed to a second sheet of film in the usual way, creating the final 8 by 10 inch negative. Weston was frugal; he was known to economize by purchasing platinum and palladium paper by the roll from Willis and Clements in England and trimming it to size. He exposed a sheet of palladium paper to the sun through the negative and, after processing the print, finished it by applying aqueous retouching media to any flaws. The fragile balance of the photograph’s chemistry, however, is evinced in a bubble-shaped area of cooler tonality hovering over the central stacks. 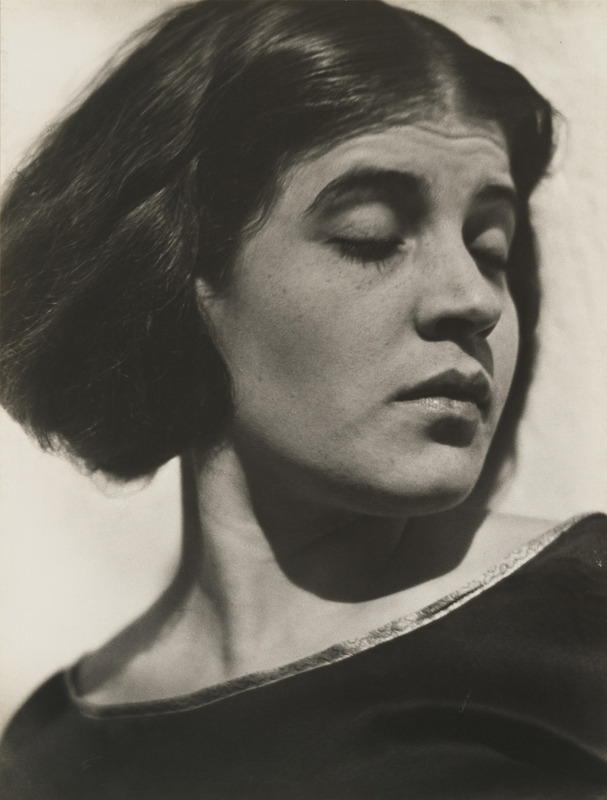 The print was in Modotti’s possession at the time of her death in Mexico City, in 1942. The question of whether photography ought to be considered a fine art was hotly contested from its invention in 1839 into the 20th century. Beginning in the 1890s, in an attempt to distinguish their efforts from hoards of Kodak-wielding amateurs and masses of professionals, “artistic” photographers referred to themselves as Pictorialists. 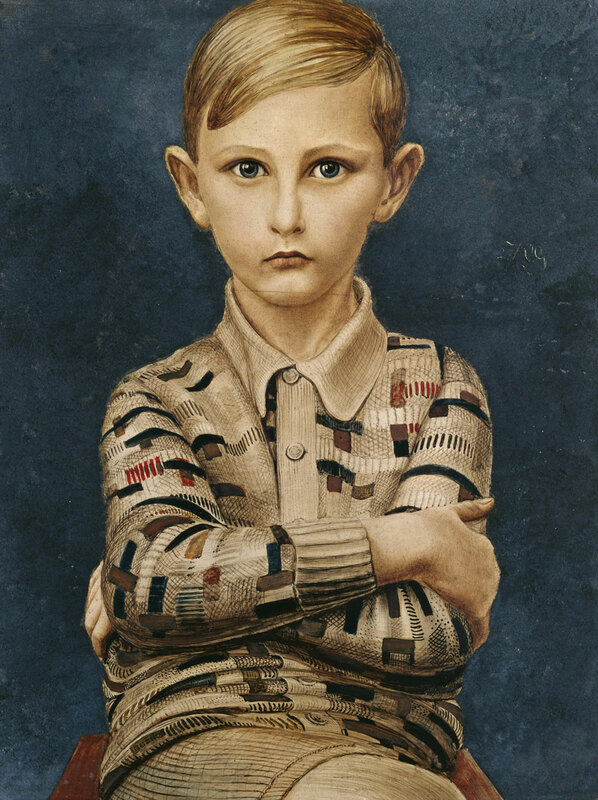 They embraced soft focus and painstakingly wrought prints so as to emulate contemporary prints and drawings, and chose subjects that underscored the ethereal effects of their methods. Before long, however, most avant-garde photographers had come to celebrate precise and distinctly photographic qualities as virtues. 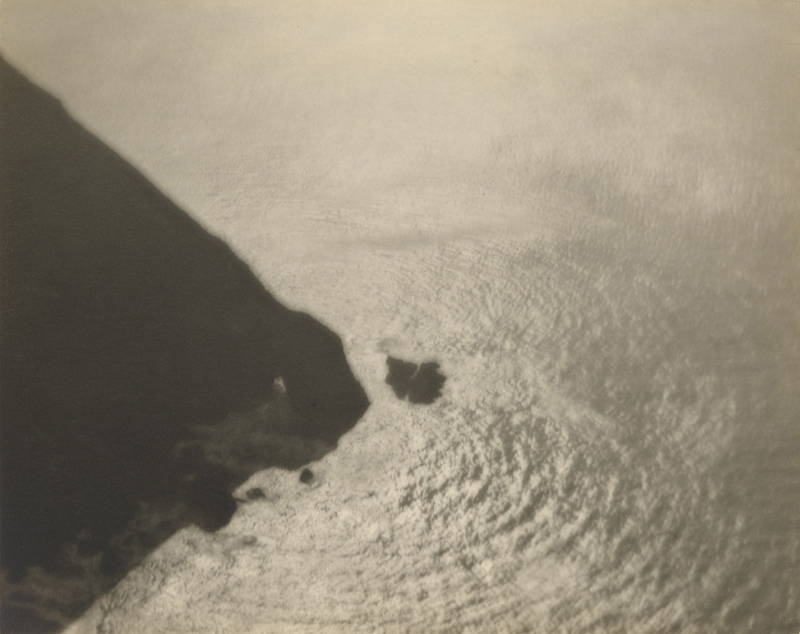 On both sides of the Atlantic, photographers were making this transition from Pictorialism to modernism, while occasionally blurring the distinction. Exhibition prints could be made with precious platinum or palladium, or matte surfaces that mimicked those materials. 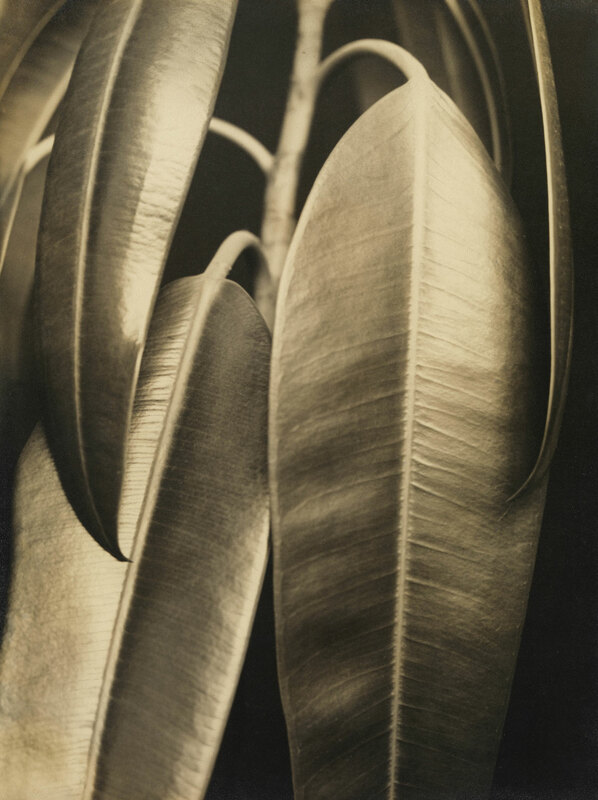 Perhaps nowhere is this variety more clearly evidenced than in the work of Edward Weston, whose suite of prints in this section suggests the range of appearances achievable with unadulterated contact prints from his large-format negatives. 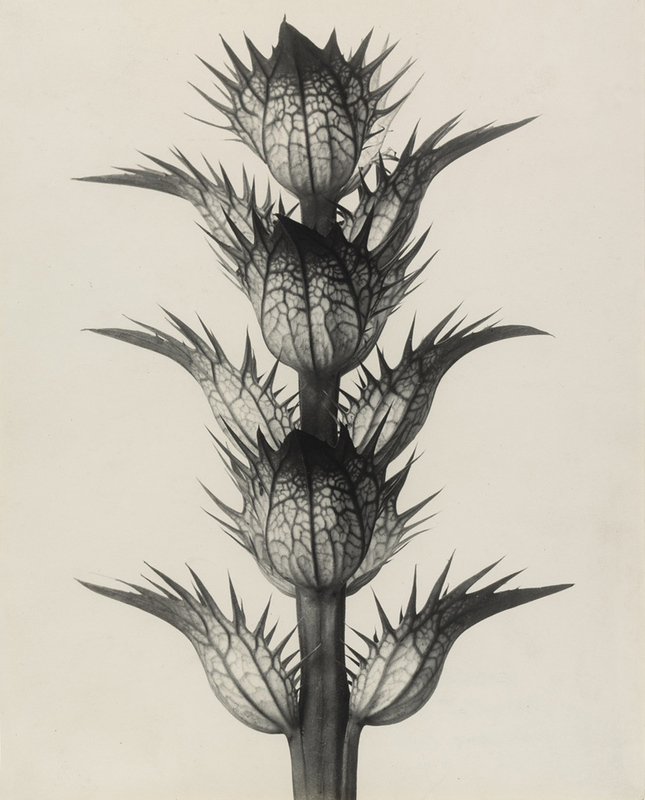 Other photographers on view include Karl Blossfeldt (German, 1865-1932), Manuel Álvarez Bravo (Mexican, 1902-2002), Jaromír Funke (Czech, 1896-1945), Bernard Shea Horne (American, 1867-1933), and Alfred Stieglitz (American, 1864-1946). The intricate patterns of light and line in this photograph, and the cascading tiers of crystalline shapes, were generated through the use of a kaleidoscopic contraption invented by the American/British photographer Alvin Langdon Coburn, a member of London’s Vorticist group. 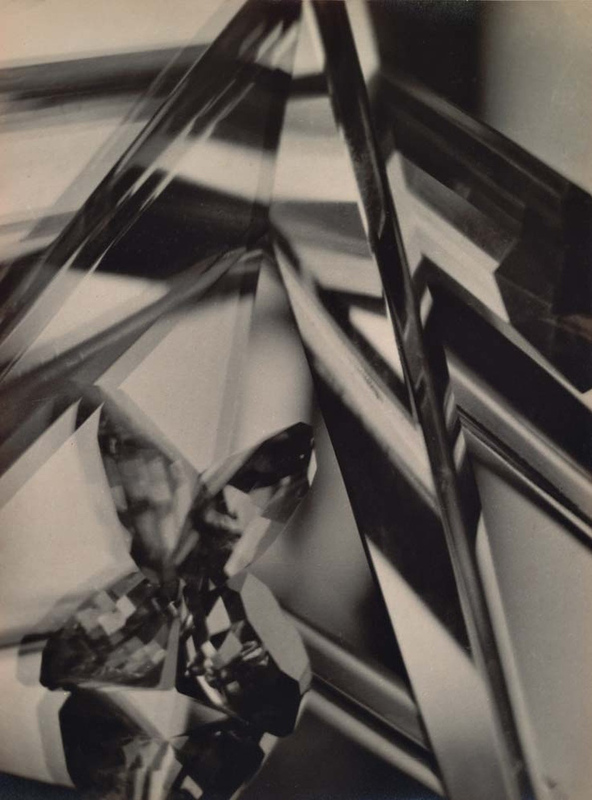 To refute the idea that photography, in its helplessly accurate capture of scenes in the real world, was antithetical to abstraction, Coburn devised for his camera lens an attachment made up of three mirrors, clamped together in a triangle, through which he photographed a variety of surfaces to produce the results in these images. The poet and Vorticist Ezra Pound coined the term “vortographs” to describe Coburn’s experiments. 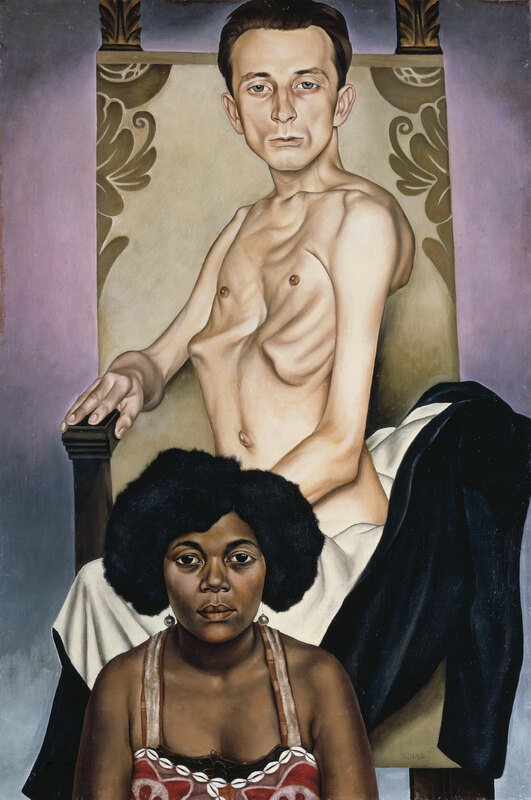 Although Pound went on to criticize these images as lesser expressions than Vorticist paintings, Coburn’s work would remain influential. 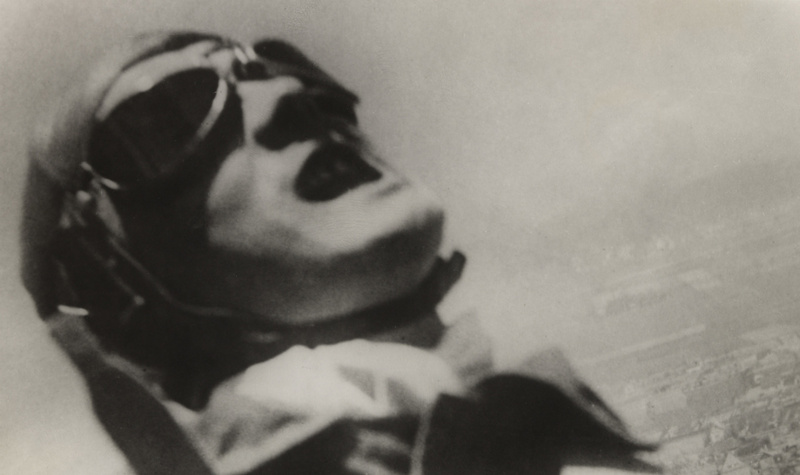 In 1925, László Moholy-Nagy articulated an idea that became central to the New Vision movement: although photography had been invented 100 years earlier, it was only now being discovered by the avant-garde circles for all its aesthetic possibilities. 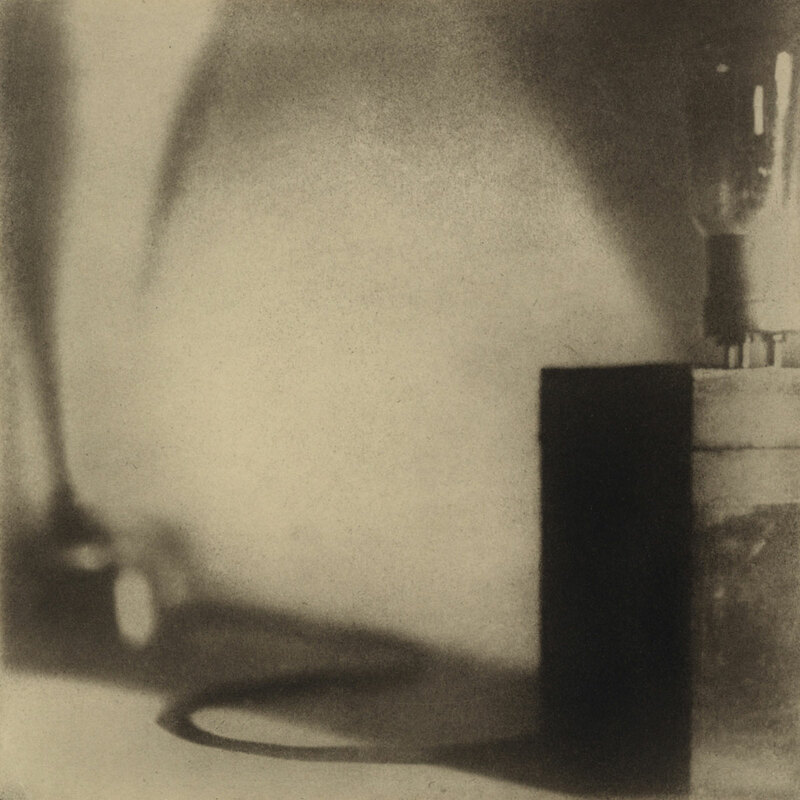 As products of technological culture, with short histories and no connection to the old fine-art disciplines – which many contemporary artists considered discredited – photography and cinema were seen as truly modern instruments that offered the greatest potential for transforming visual habits. From the photogram to solarization, from negative prints to double exposures, the New Vision photographers explored the medium in countless ways, rediscovering known techniques and inventing new ones. Echoing the cinematic experiments of the same period, this emerging photographic vocabulary was rapidly adopted by the advertising industry, which appreciated the visual efficiency of its bold simplicity. 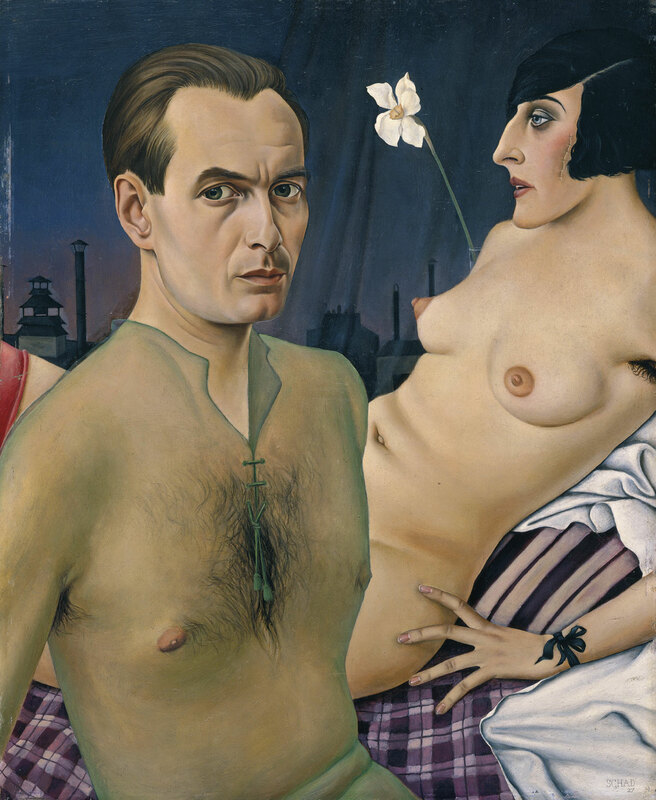 Florence Henri (Swiss, born America, 1893-1982), Edward Quigley (American, 1898-1977), Franz Roh (German, 1890-1965), Franciszka Themerson and Stefan Themerson (British, born Poland, 1907-1988 and 1910-1988), and František Vobecký (Czech, 1902-1991) are among the numerous photographers represented here. 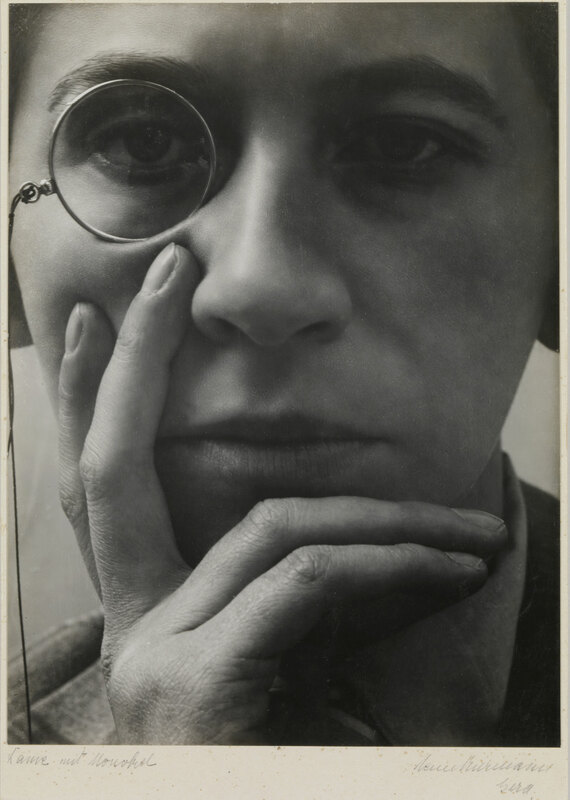 Gertrud Arndt (née Hantschk; 20 September 1903 – 10 July 2000) was a photographer associated with the Bauhaus movement. 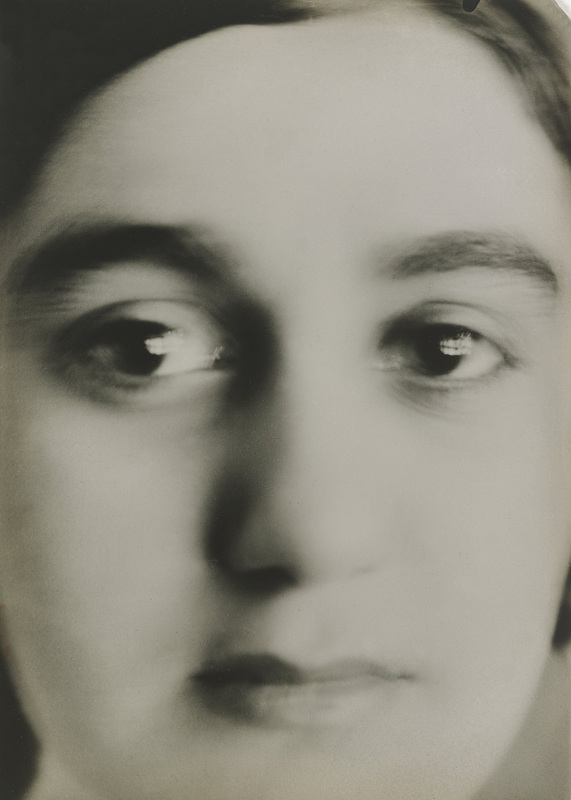 She is remembered for her pioneering series of self-portraits from around 1930. 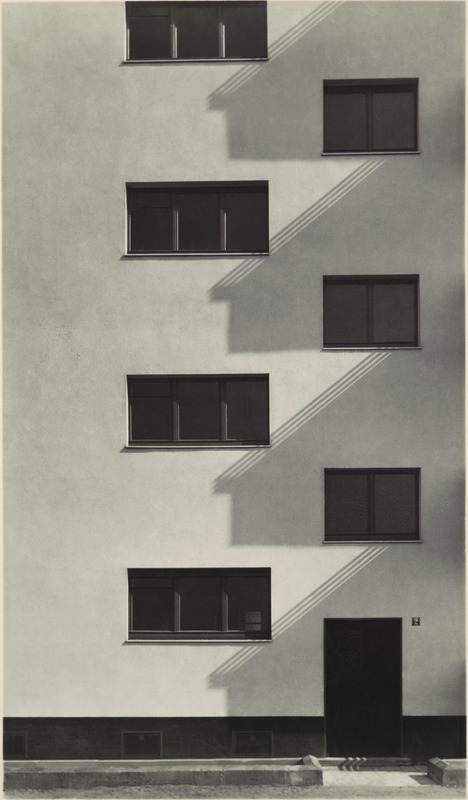 ‘Finally – a house made of steel and glass!’ This was the enthusiastic reaction of Hajo Rose (1910-1989) to the Bauhaus building in Dessau when he began his studies there in 1930. 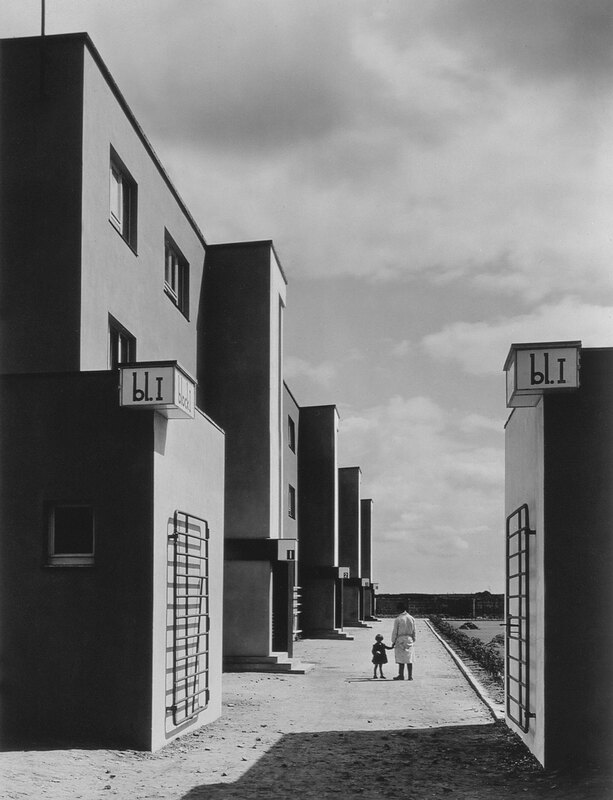 Rose promoted the methods of the Bauhaus throughout his lifetime: as a lecturer at universities in Amsterdam, Dresden and Leipzig, and also as an artist and photographer. Hajo Rose experimented with a wide variety of materials and techniques. 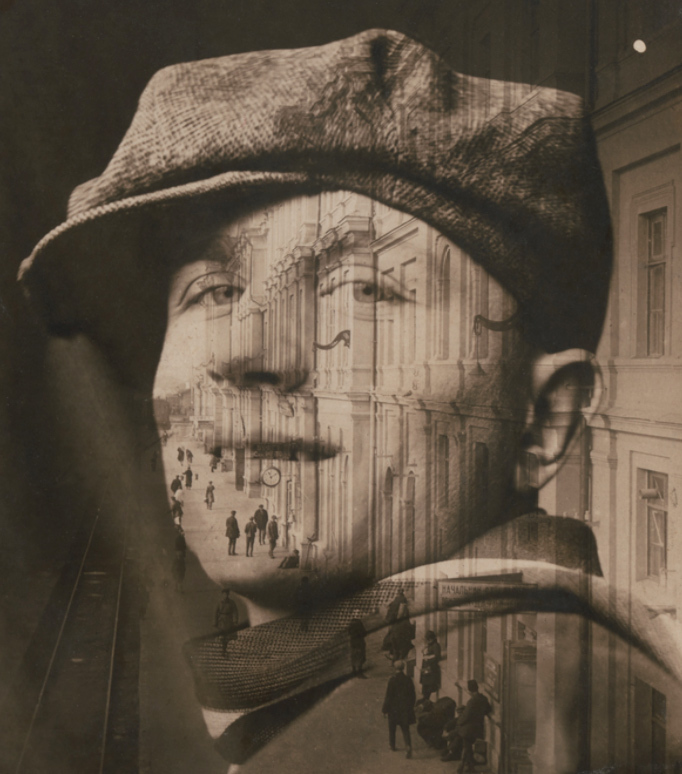 The photomontage of his self-portrait combined with the Dessau Bauhaus building (c. 1930), the surrealism of his photograph Seemannsbraut (Sailor’s Bride, 1934), and the textile print designs that he created with a typewriter (1932) are examples of the extraordinary creativity of this artist. 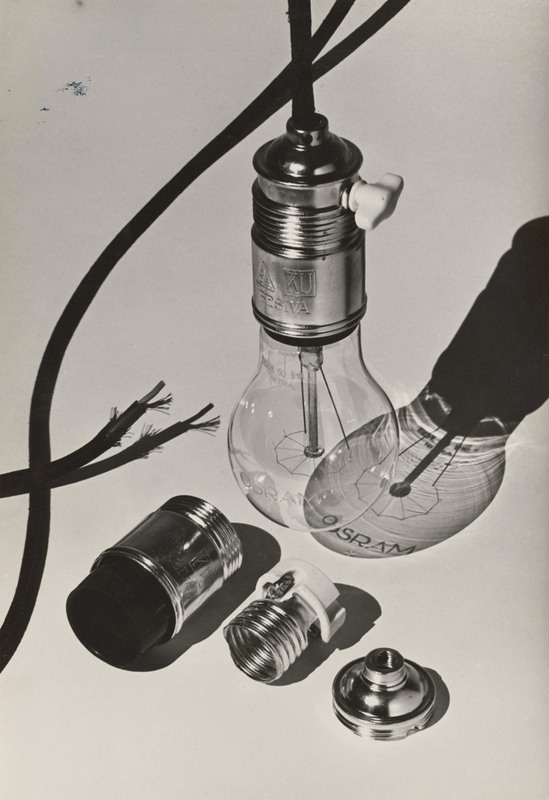 He also contributed to an advertising campaign for the Jena Glass Company: the first heat-resistant household glassware stood for modern product design and is still regarded as a kitchen classic today. Shortly before the Bauhaus was closed, Hajo Rose was one of the last students to receive his diploma. 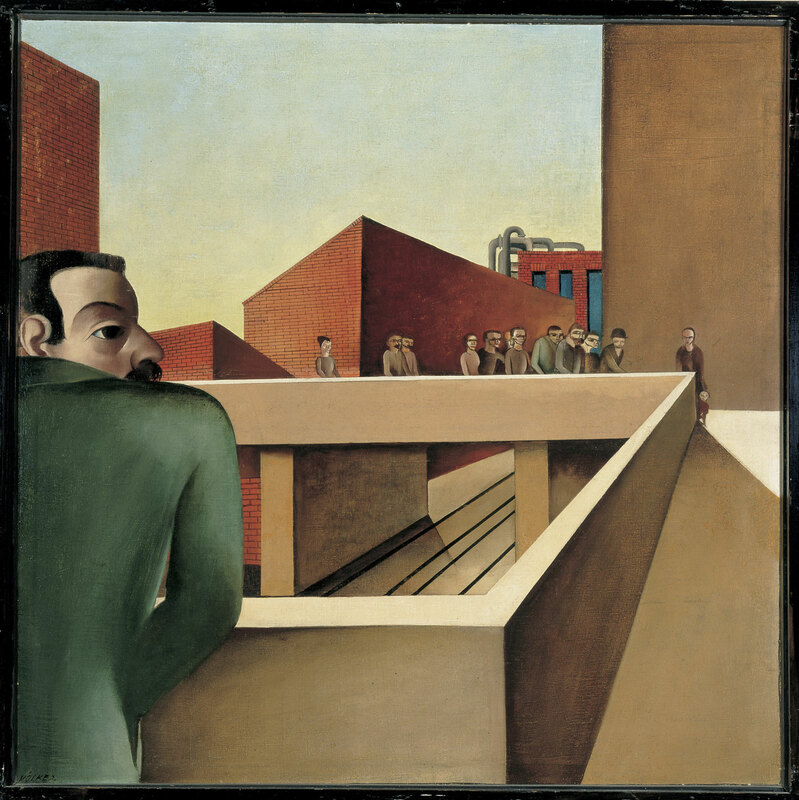 Subsequent periods in various cities shaped his biography, which is a special example of the migratory experience shared by many Bauhaus members after 1933. After one year as an assistant in the Berlin office of László Moholy-Nagy, Hajo Rose immigrated to The Netherlands together with Paul Guermonprez, a Bauhaus colleague, in 1934. 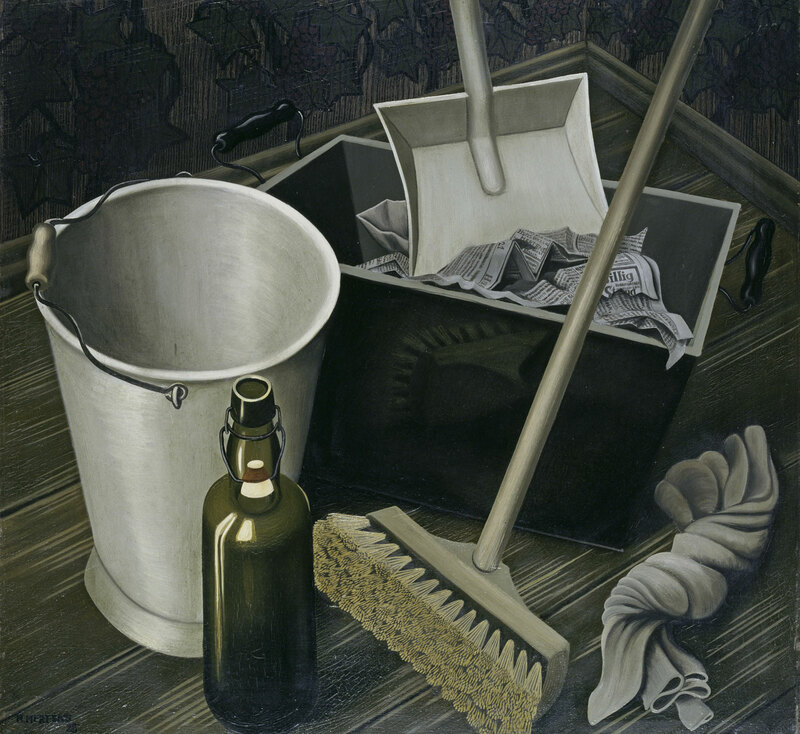 He worked there as a commercial artist and taught at the Nieuwe Kunstschool in Amsterdam. 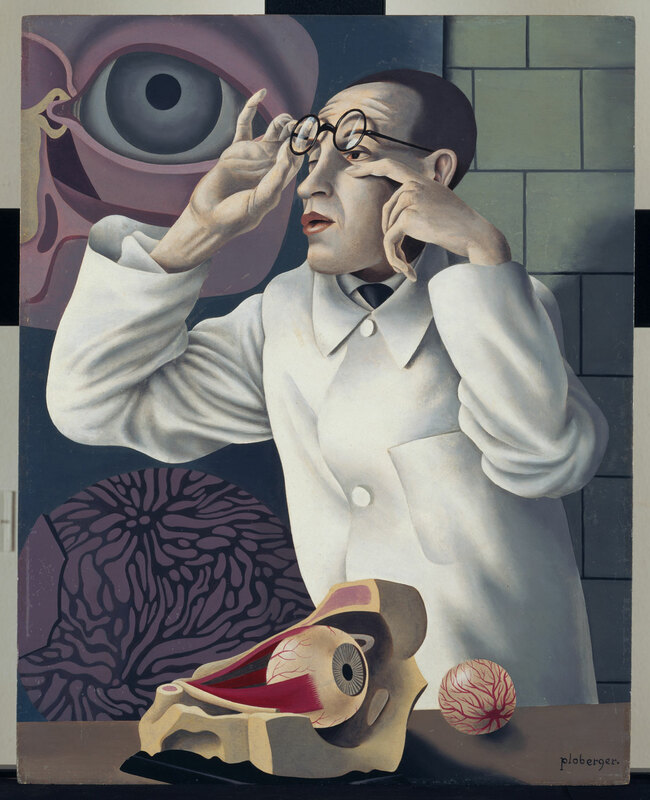 At the 1937 World Exposition in Paris, he won an award for his poster ‘Amsterdam’. 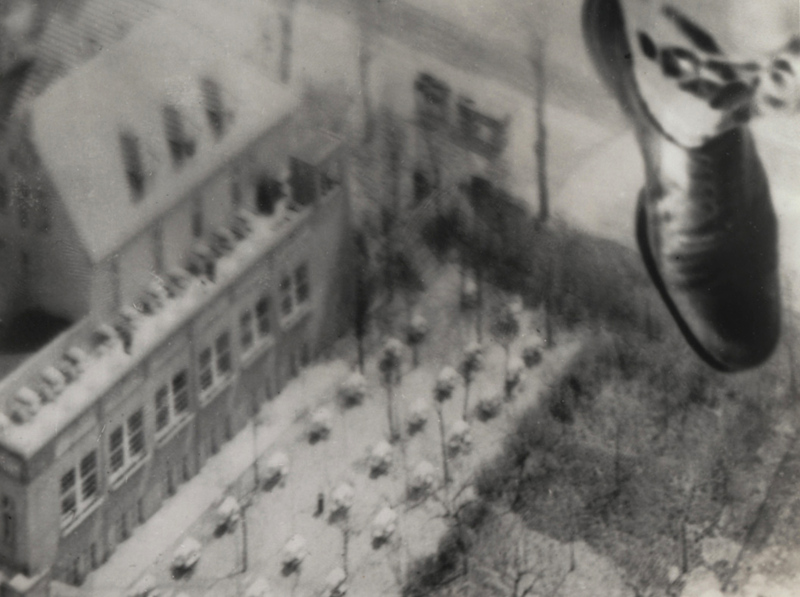 After the Second World War, Rose worked as a graphic designer, photographer and teacher in Dresden and Leipzig. He continued to advocate Bauhaus ideas in the GDR, even though the Bauhaus was regarded in East Germany as bourgeois and formalistic well into the 1960s. Rose resigned from the Socialist Unity Party (SED) – in spite of the loss of his teaching position as a consequence. 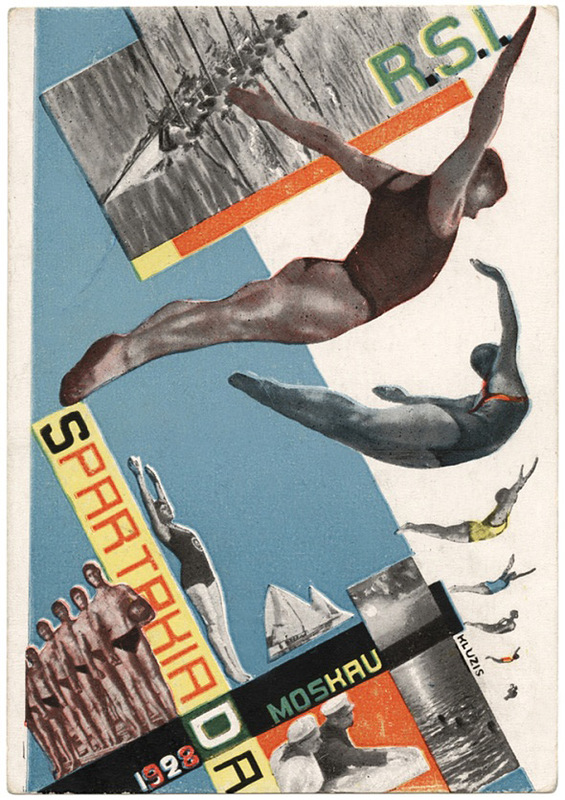 From that time, he worked as one of the few freelance graphic designers in the GDR. Hajo Rose died at the age of 79 – shortly before the fall of the Berlin Wall. 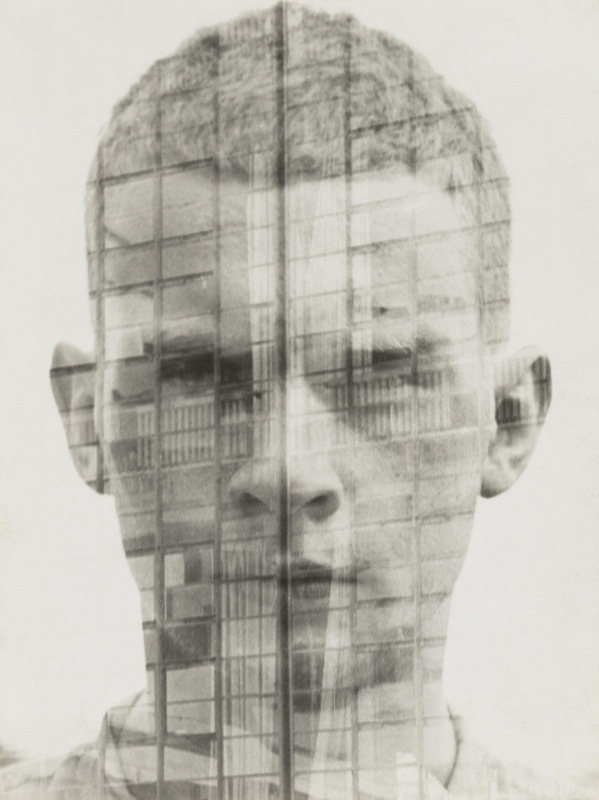 Photography is particularly well suited to capturing the distinctive nuances of the human face, and photographers delighted in and pushed the boundaries of portraiture throughout the 20th century. The Thomas Walther Collection features a great number of portraits of artists and self-portraits as varied as the individuals portrayed. 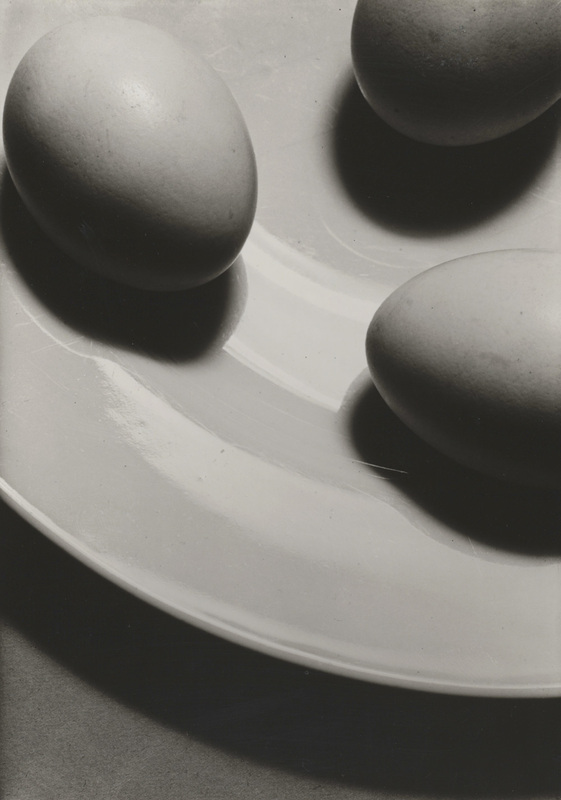 Additionally, the collection conveys a free-spirited sense of community and daily life, highlighted here with photographs made by André Kertész and by students and faculty at the Bauhaus. When the Hungarian-born Kertész moved to Paris in 1925, he couldn’t afford to purchase photographic paper, so he would print on less expensive postcard stock. 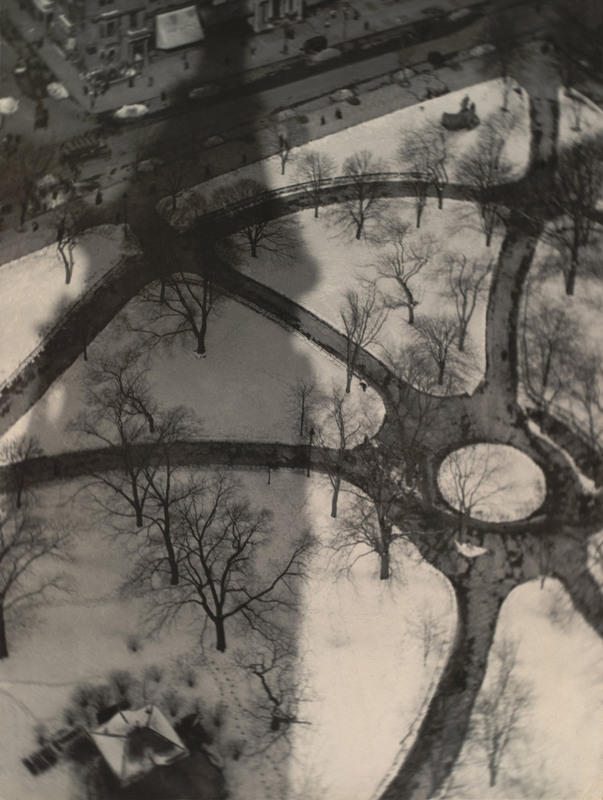 These prints, whose small scale requires that the viewer engage with them intimately, function as miniature windows into the lives of Kertész’s bohemian circle of friends. 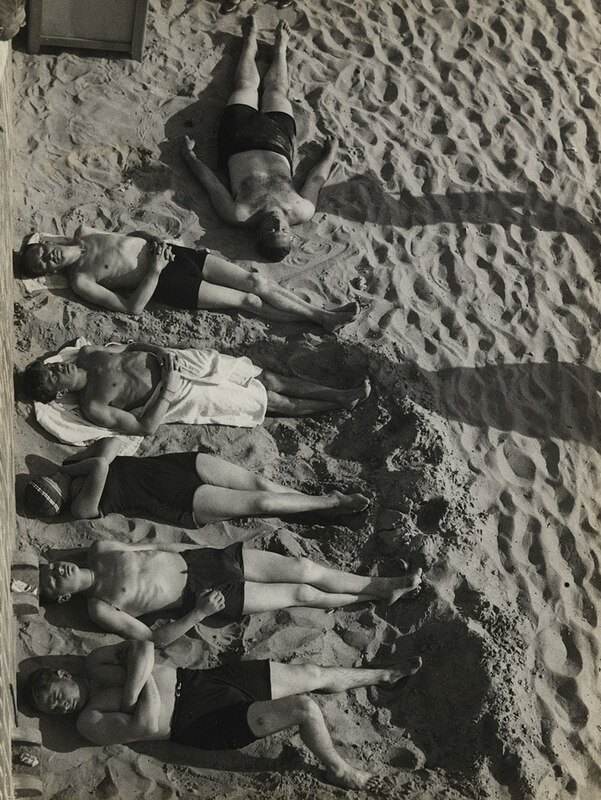 The group of photographs made at the Bauhaus in the mid-1920s, before the medium was formally integrated into the school’s curriculum, similarly expresses friendships and everyday life captured and printed in an informal manner. Portraits by Claude Cahun (French, 1894-1954), Lotte Jacobi (American, born Germany, 1896-1990), Lucia Moholy (British, born Czechoslovakia, 1894-1989), Man Ray (American, 1890-1976), August Sander (German, 1876-1964) and Edward Steichen (American, born Luxembourg, 1879-1973) are among the highlights of this gallery. Aenne Biermann (March 8, 1898 – January 14, 1933), born Anna Sibilla Sternfeld, was a German photographer of Ashkenazi origin. 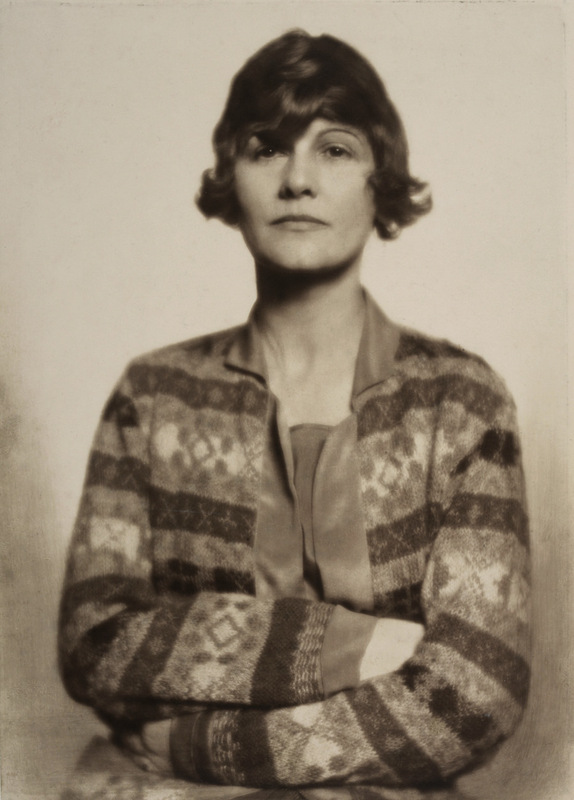 She was one of the major proponents of New Objectivity, a significant art movement that developed in Germany in the 1920s. 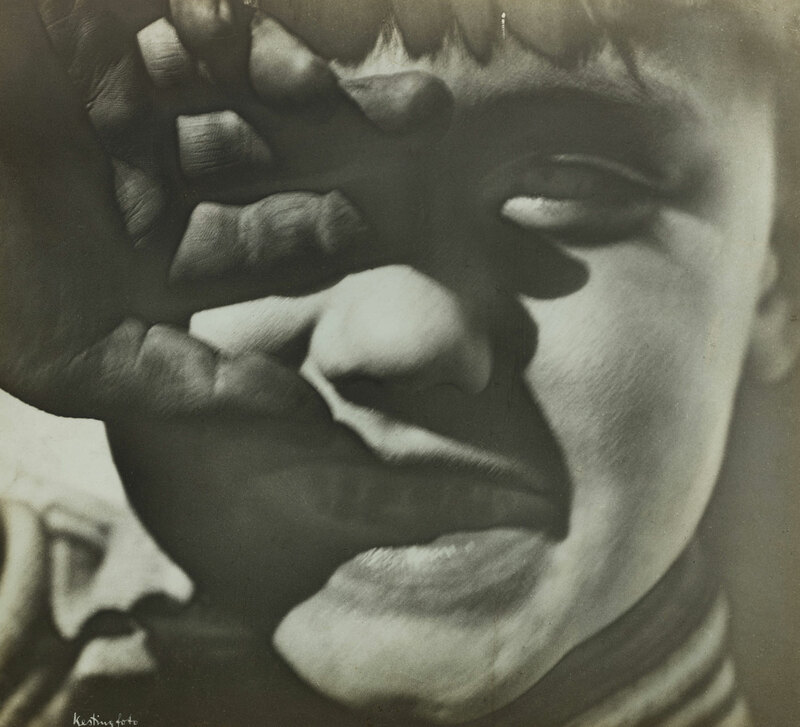 Biermann was a self-taught photographer. Her first subjects were her two children, Helga and Gershon. 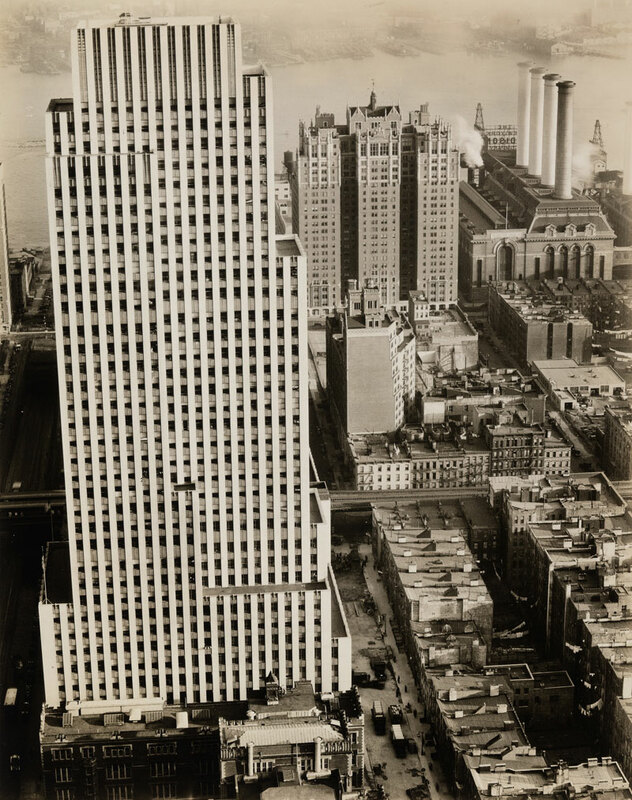 The majority of Biermann’s photographs were shot between 1925 and 1933. 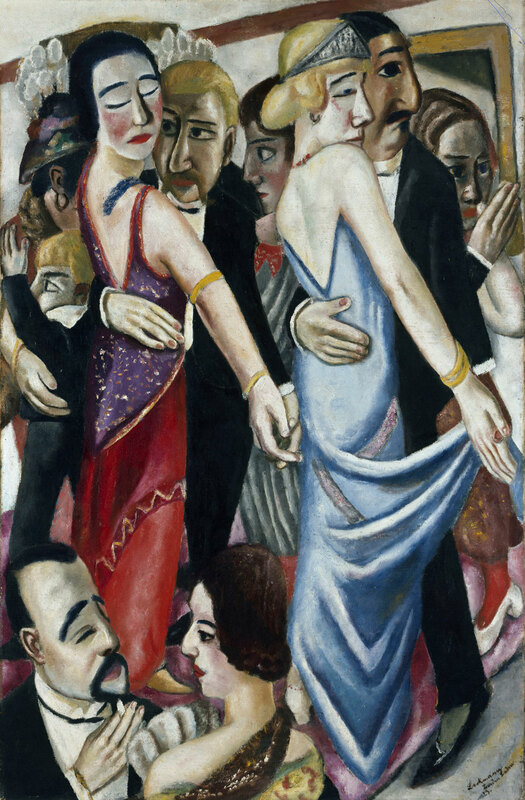 Gradually she became one of the major proponents of New Objectivity, an important art movement in the Weimar Republic. 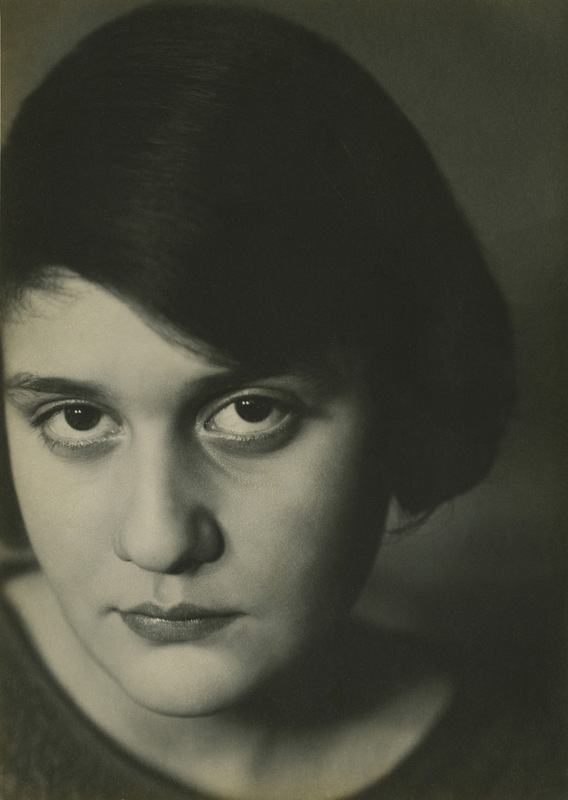 Her work became internationally known in the late 1920s, when it was part of every major exhibition of German photography. There can hardly be another name in the international history of photography whose work has been so frequently misunderstood and so controversially evaluated as that of Helmar Lerski (1871-1956). “In every human being there is everything; the question is only what the light falls on”. 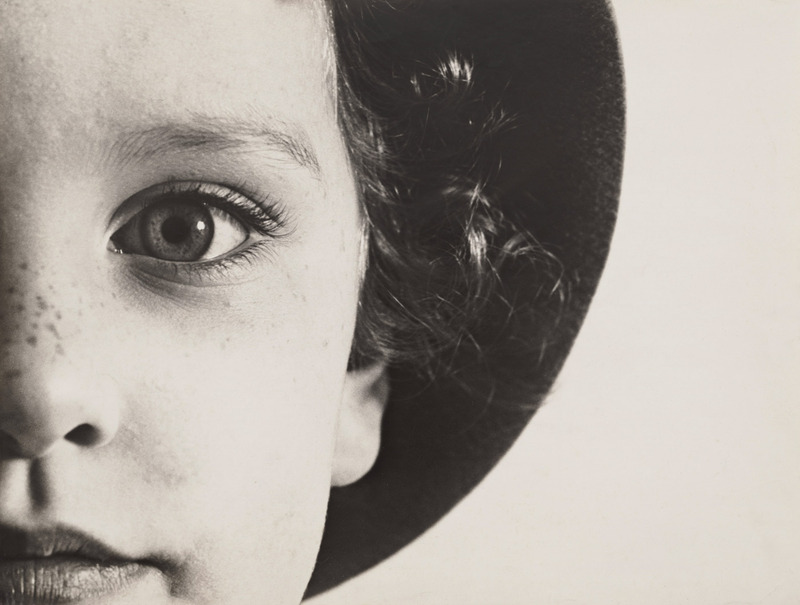 Guided by this conviction, Lerski took portraits that did not primarily strive for likeness but which left scope for the viewer’s imagination, thus laying himself open to the criticism of betraying the veracity of the photographic image. … Lerski’s pictures were only partly in line with the maxims of the New Photography, and they questioned the validity of pure objectivity. 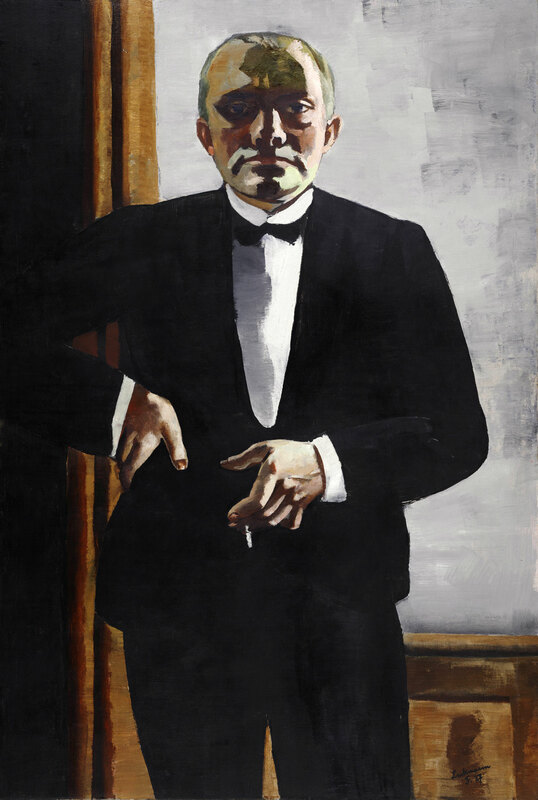 The distinguishing characteristics of his portraits included a theatrical-expressionistic, sometimes dramatic use of lighting inspired by the silent film. 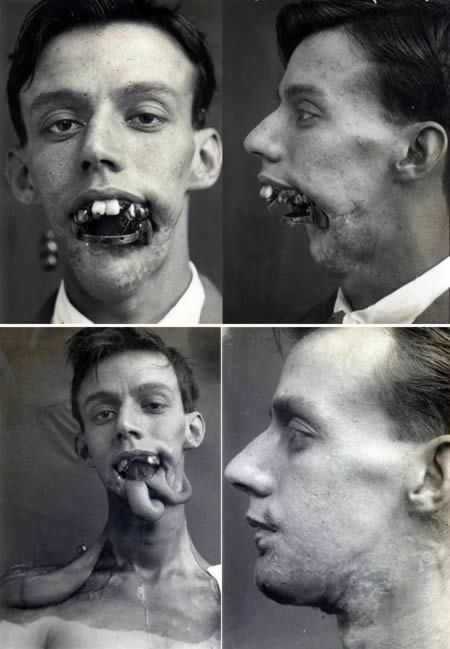 Although his close-up photographs captured the essential features of a face – eyes, nose and mouth -, his primary concern was not individual appearance or superficial likeness but the deeper inner potential: he emphasised the changeability, the different faces of an individual. 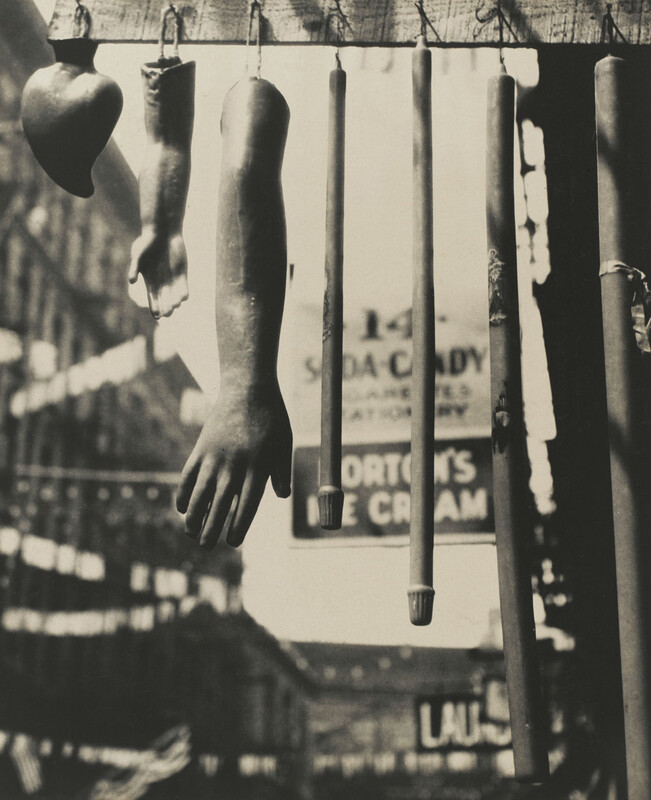 Lerski, who sympathised with the political left wing, thereby infiltrated the photography of types that was practised (and not infrequently misused for racist purposes) by many of Lerski’s contemporaries. … Helmar Lerski’s attitude was at its most radical in his work entitled Metamorphosis. This was completed within a few months at the beginning of 1936 in Palestine, to where Lerski and his second wife Anneliese had immigrated in 1932. In Verwandlungen durch Licht (this is the second title for this work), Lerski carried his theatrical talent to extremes. With the help of up to 16 mirrors and filters, he directed the natural light of the sun in constant new variations and refractions onto his model, the Bernese-born, at the time out-of-work structural draughtsman and light athlete Leo Uschatz. 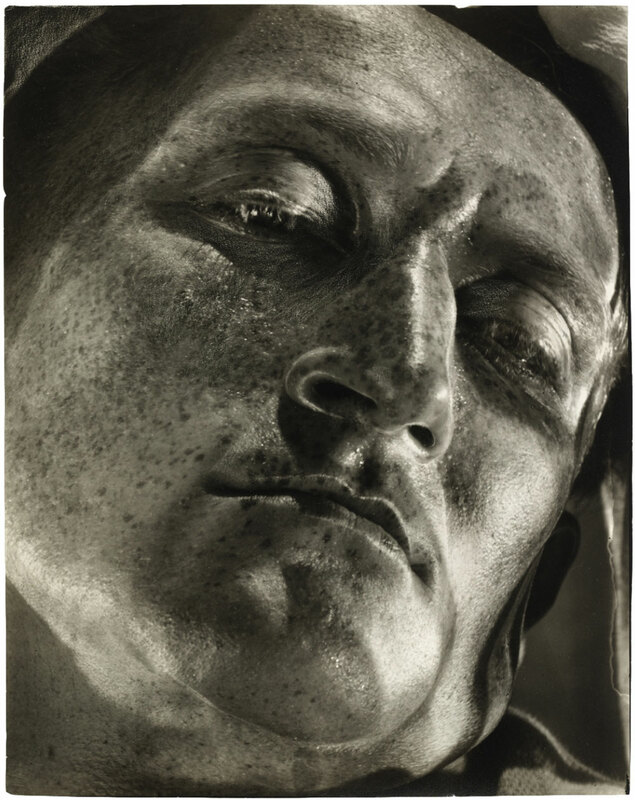 Thus he achieved, in a series of over 140 close-ups “hundreds of different faces, including that of a hero, a prophet, a peasant, a dying soldier, an old woman and a monk from one single original face” (Siegfried Kracauer). According to Lerski, these pictures were intended to provide proof “that the lens does not have to be objective, that the photographer can, with the help of light, work freely, characterise freely, according to his inner face.” Contrary to the conventional idea of the portrait as an expression of human identity, Lerski used the human face as a projection surface for the figures of his imagination. 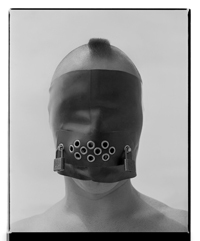 We are only just becoming aware of the modernity of this provocative series of photographs. 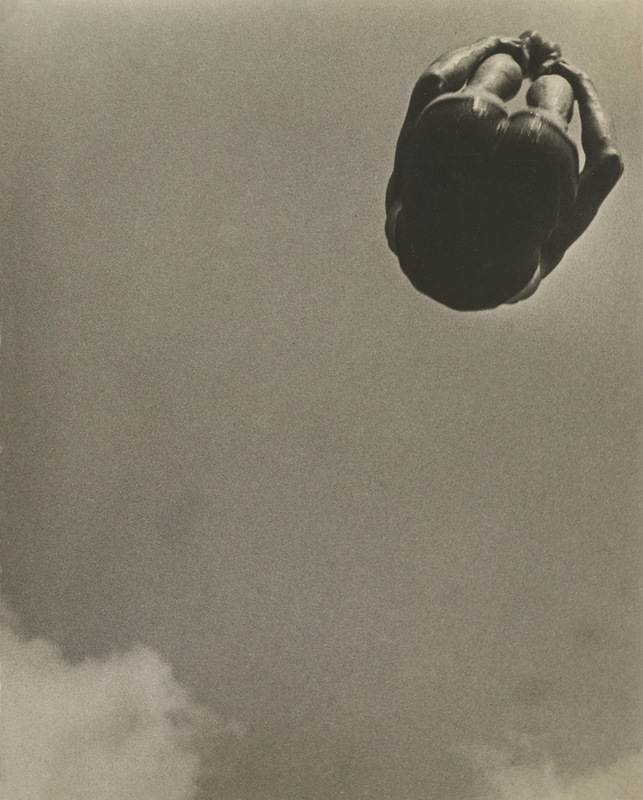 Edmund Kesting (27 July 1892, Dresden – 21 October 1970, Birkenwerder) was a German photographer, painter and art professor. He studied until 1916 at the Dresden Academy of Fine Arts before participating as a soldier in the First World War, upon returning his painting teachers were Richard Müller and Otto Gussmann and in 1919 he began to teach as a professor at the private school Der Weg. 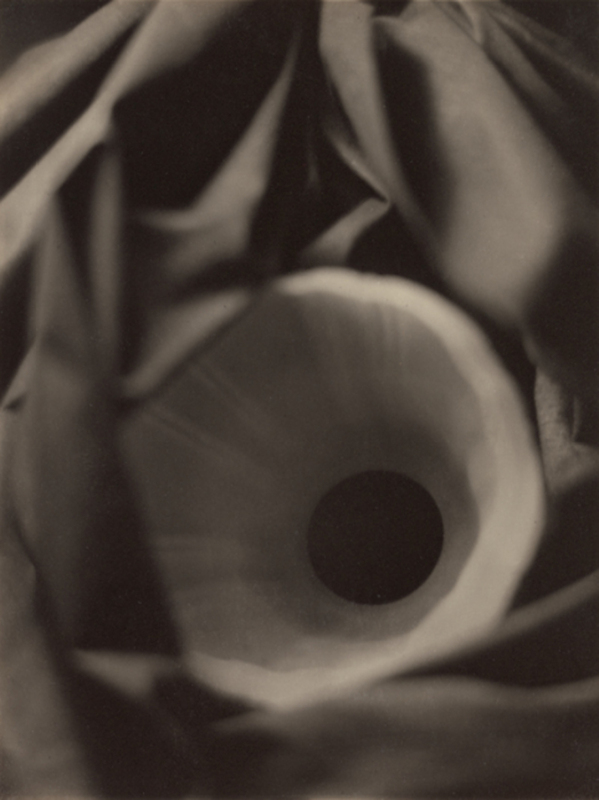 In 1923 he had his first exposition in the gallery Der Sturm in which he showed photograms. When Der Weg opened a new academy in Berlin in 1927, he moved to the capital. 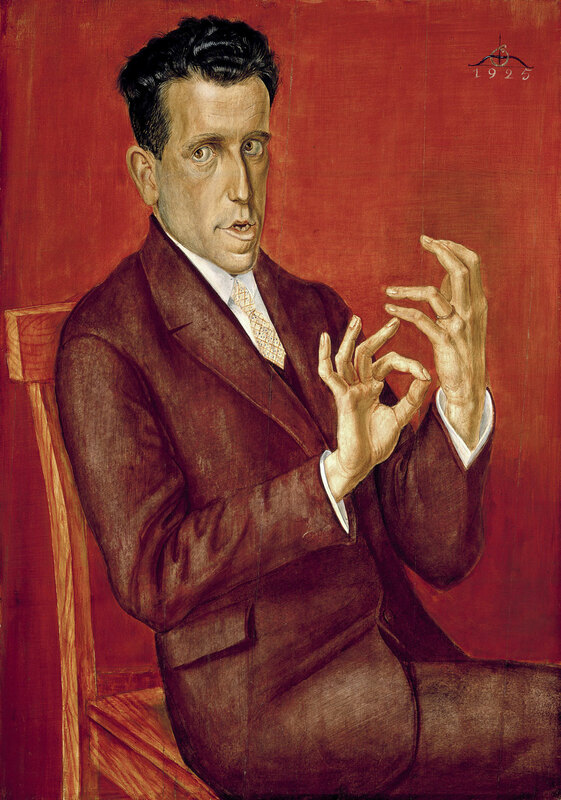 He formed relations with other vanguardists in Berlin and practiced various experimental techniques such as solarization, multiple images and photograms, for which reason twelve of his works were considered degenerate art by the Nazi regime and were prohibited. Among the artists with whom he interacted are Kurt Schwitters, László Moholy-Nagy, El Lissitzky and Alexander Archipenko. 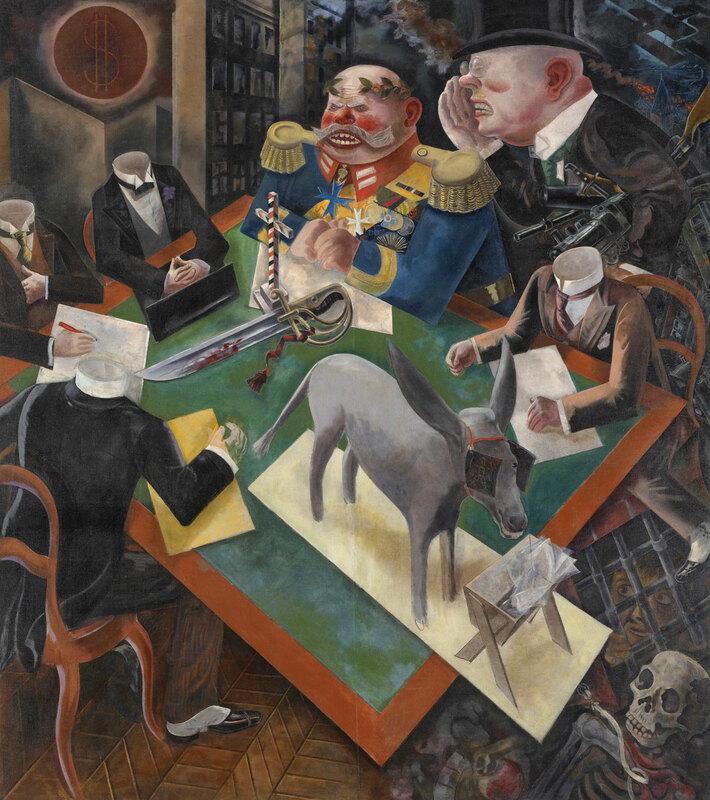 At the end of World War II he formed part of a Dresden artistic group known as Künstlergruppe der ruf – befreite Kunst (Call to an art in freedom) along with Karl von Appen, Helmut Schmidt-Kirstein and Christoph Hans, among others. In this city he made an experimental report named Dresdner Totentanz (Dance of death in Dresden) as a condemnation of the bombing of the city. 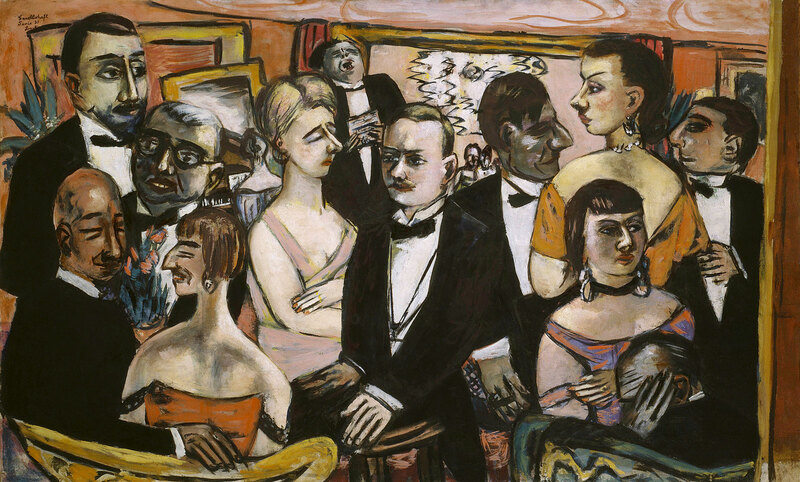 In 1946 he was named a member of the Academy of Art in the city. 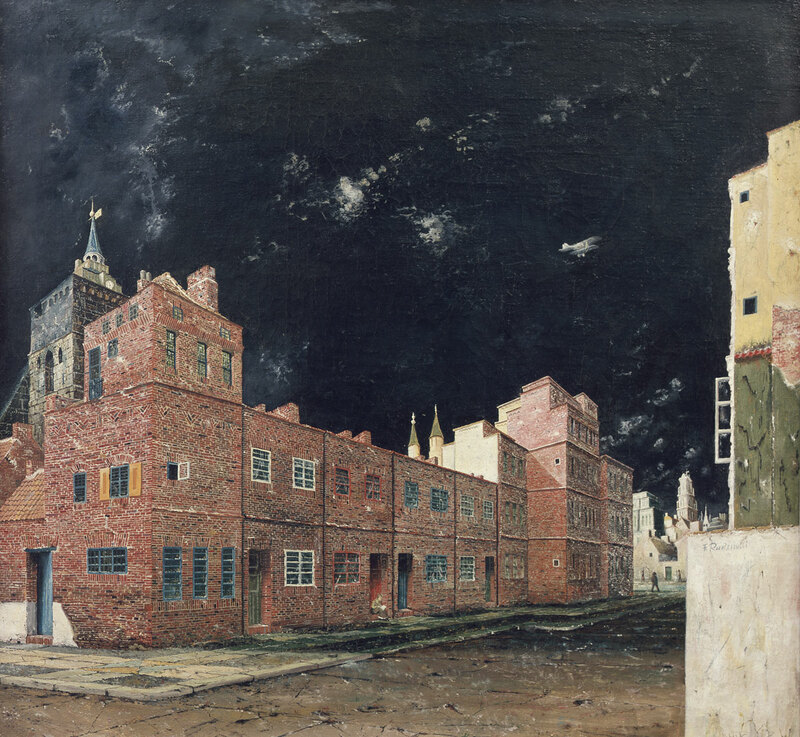 He participated in the controversy between socialist realism and formalism that took place in the German Democratic Republic, therefore his work was not realist and could not be shown in the country between 1949 and 1959. In 1955 he began to experiment with chemical painting, making photographs without the use of a camera and only with the use of chemical products such as the developer and the fixer and photographic paper, for which he made exposures to light using masks and templates. 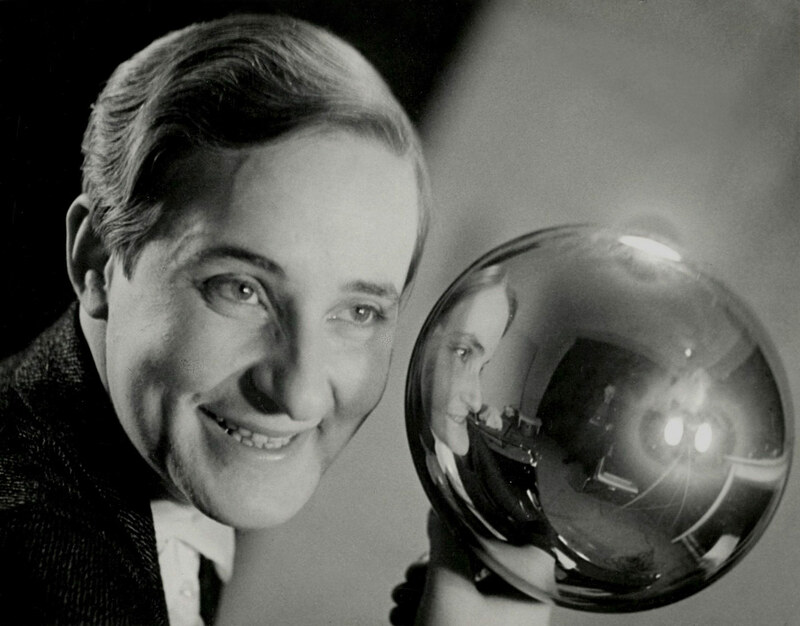 Between 1956 and 1967 he was a professor at the Academy of Cinema and Television of Potsdam. Trained at the Bauhaus under Johannes Itten, a master of expressivity, Berlin-based photographer Umbo (born Otto Umbehr) believed that intuition was the source of creativity. To this belief, he added Constructivist structural strategies absorbed from Theo Van Doesburg, El Lissitzky, and others in Berlin in the early twenties. Their influence is evident in this picture’s diagonal, abstract construction and its spatial disorientation. It is also classic Umbo, encapsulating his intuitive vision of the world as a resource of poetic, often funny, ironic, or dark bulletins from the social unconscious. After he left the Bauhaus, Umbo worked as assistant to Walther Ruttmann on his film Berlin, Symphony of a Great City 1926. 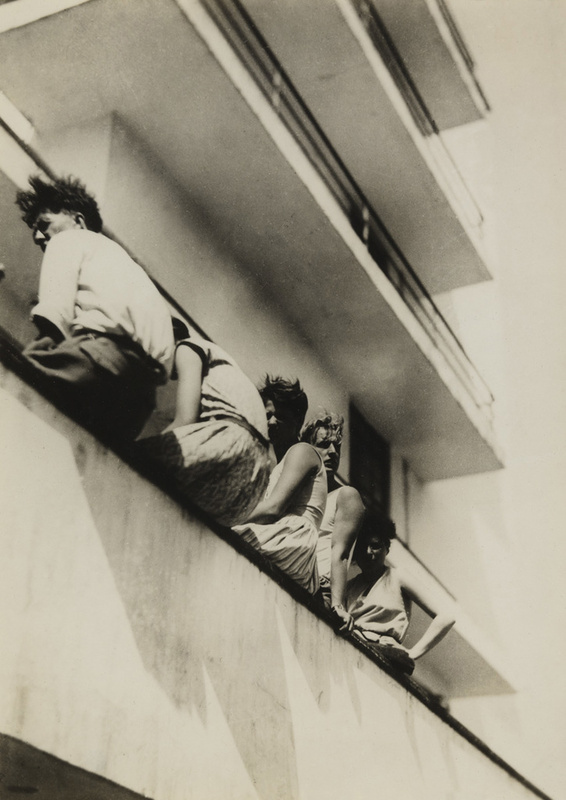 In 1928, photographing from his window either very early or very late in the day and either waiting for his “actors” to achieve a balanced composition or, perhaps, positioning them as a movie director would, Umbo exposed three negatives. 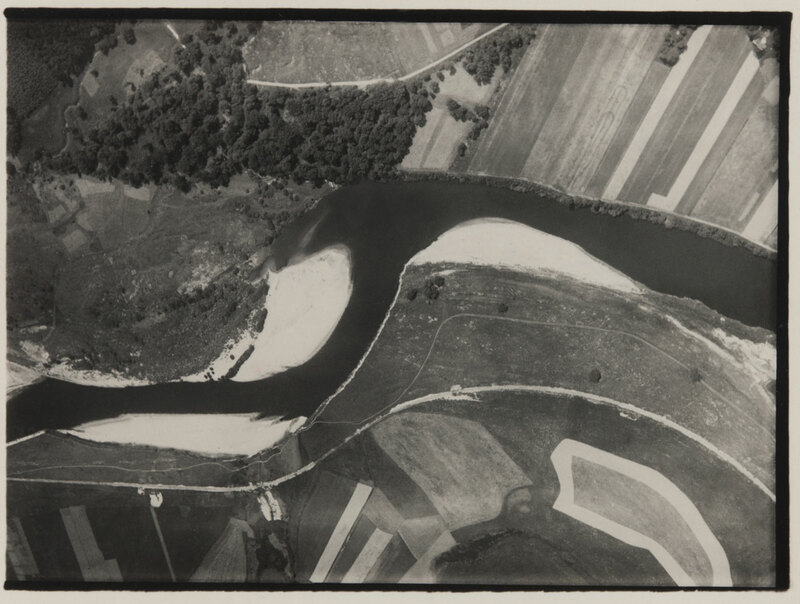 He had an old 5 by 7 inch (12.7 by 17.8 centimeter) stand camera and a 9 by 12 centimeter (3 9/16 by 4 ¾ inch) Deckrullo Contessa-Nettle camera, but which he used for these overhead views is not known, as he lost all his prints and most negatives in the 1943 bombing of Berlin. The resulting images present a world in which the shadows take the active role. Umbo made the insubstantial rule the corporeal and the dark dominate the light through a simple but inspired inversion: he mounted the pictures upside down (note the signature in ink in the lower right). 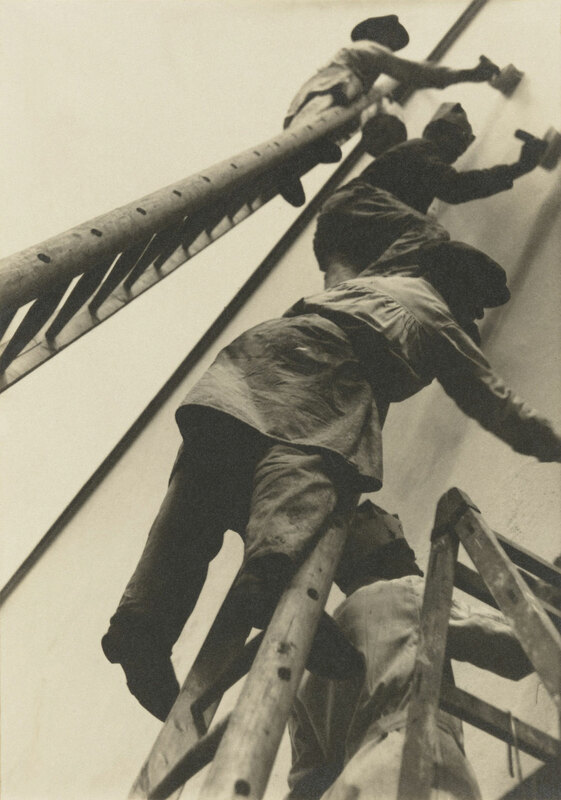 In 1928-29, Umbo was a founding photographer at Dephot (Deutscher Photodienst), a seminal photography agency in Berlin dedicated to creating socially relevant and visually fascinating photoessays, an idea originated by Erich Solomon. 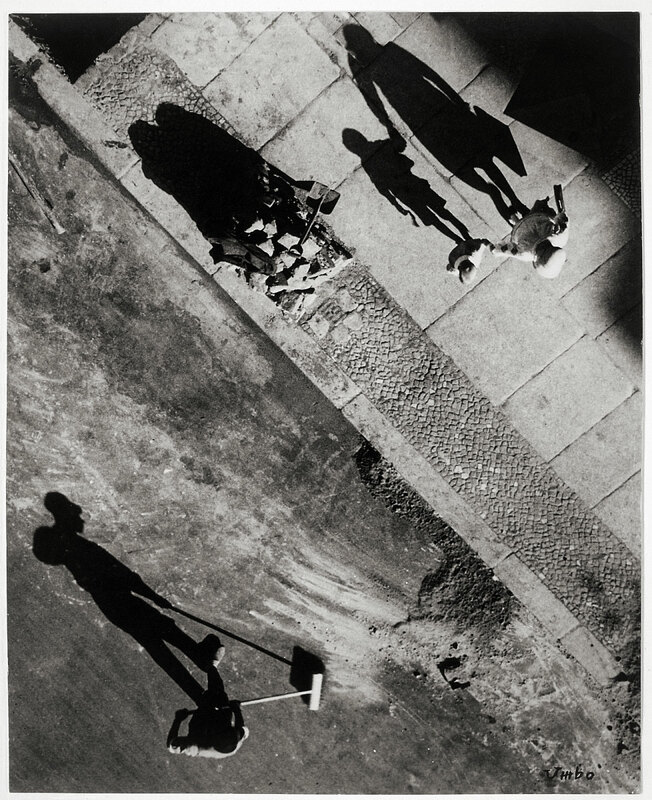 Simon Guttmann, who directed the business, hired creative nonconformists, foremost among them the bohemian Umbo, who slept in the darkroom; Umbo in turn drew the brothers Lore Feininger and Lyonel Feininger to the agency, which soon also boasted Robert Capa and Felix H. Man. 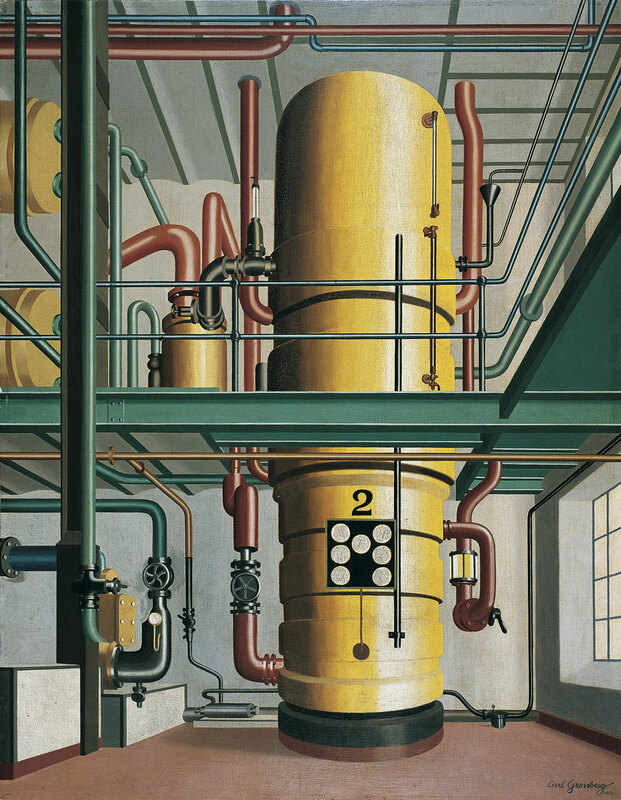 Dephot hired Dott, the best printer in Berlin, and it was he who made the large exhibition prints, such as this one, ordered by New York gallerist Julien Levy when he visited the agency in 1931. 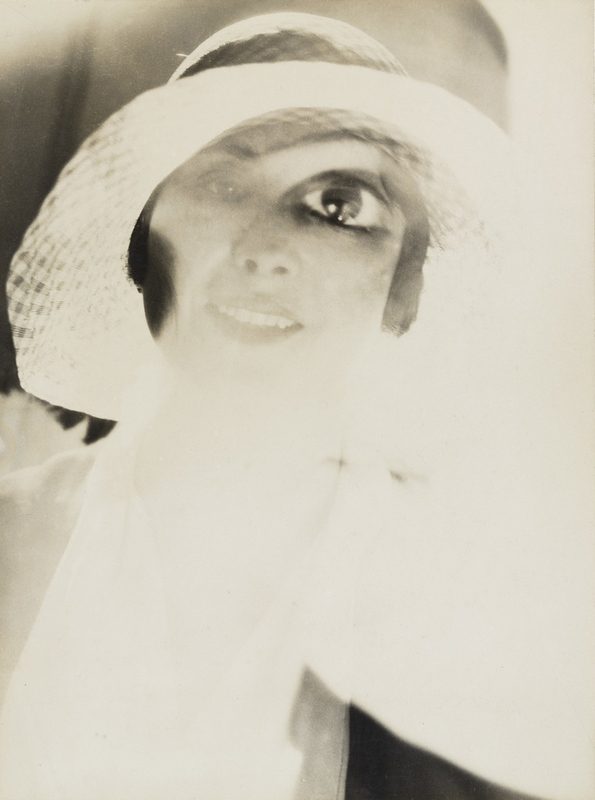 Umbo showed thirty-nine works, perhaps also printed by Dott, in the 1929 exhibition Film und Foto, and he put Guttmann in touch with the Berlin organizer of the show; accordingly, Dephot was the source for some images in the accompanying book, Es kommt der neue Fotograf! (Here comes the new photographer!). 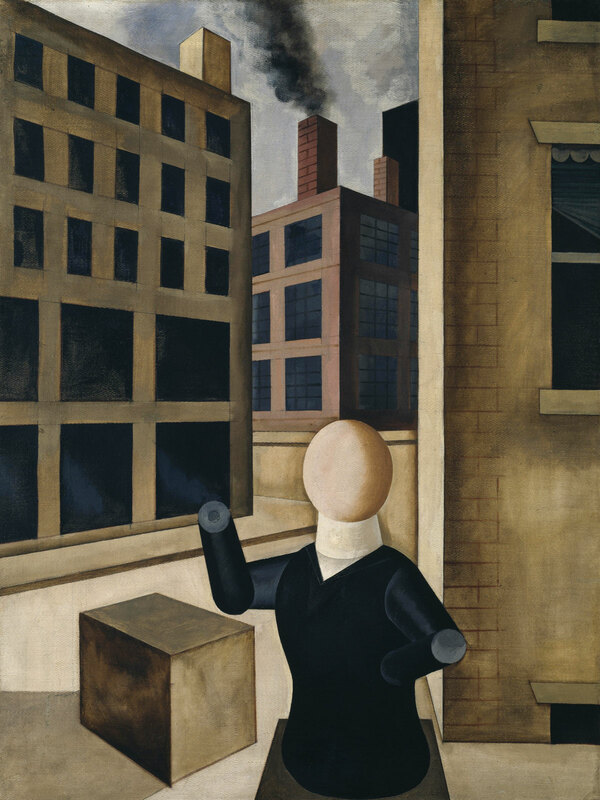 Levy introduced Umbo’s photographs to New York in Surréalisme (January 1932) and showcased them again at the Julien Levy Gallery, together with images by Herbert Bayer, Jacques-André Boiffard, Roger Parry, and Maurice Tabard, in his 1932 exhibition Modern European Photography. 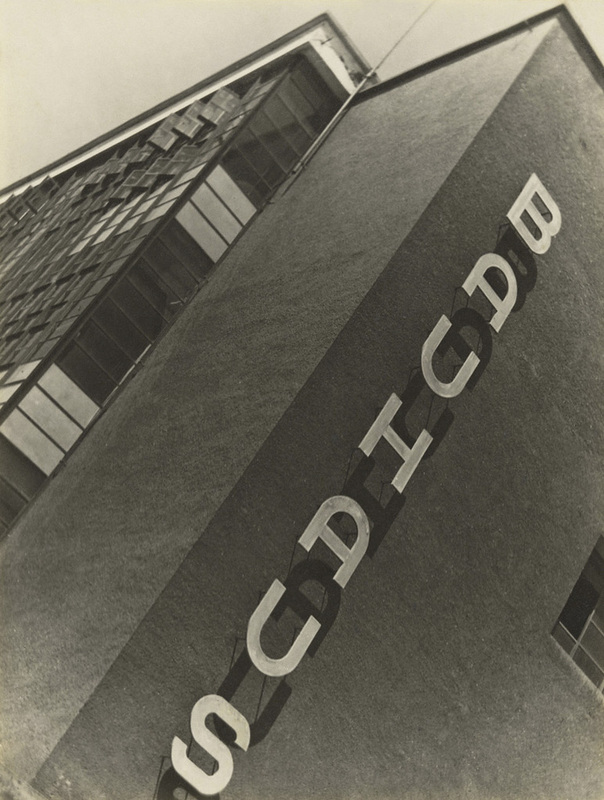 In his 1928 manifesto “The Paths of Contemporary Photography,” Aleksandr Rodchenko advocated for a new photographic vocabulary that would be more in step with the pace of modern urban life and the changes in perception it implied. 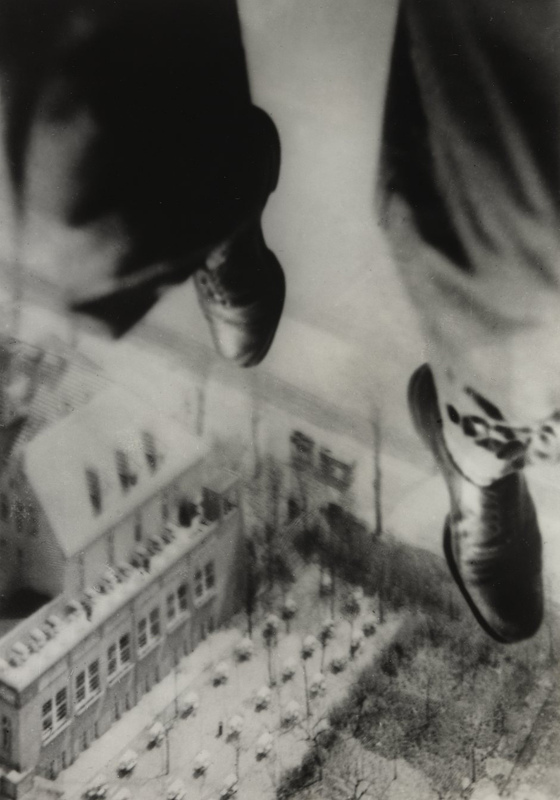 Rodchenko was not alone in this quest: most of the avant-garde photographers of the 1920s and 1930s were city dwellers, striving to translate the novel and shocking experience of everyday life into photographic images. Equipped with newly invented handheld cameras, they used unusual vantage points and took photos as they moved, struggling to re-create the constant flux of images that confronted the pedestrian. Reflections in windows and vitrines, blurry images of quick motions, double exposures, and fragmentary views portray the visual cacophony of the metropolis. The work of Berenice Abbott (American, 1898- 1991), Alvin Langdon Coburn (American, 1882-1966), Germanie Krull (Dutch, born Germany, 1897-1985), Alexander Hackenschmied (Czech, 1907-2004), Umbo (German, 1902-1980), and Imre Kinszki (Hungarian, 1901-1945) is featured in this final gallery. Do you feel like a new woman? Do you feel like a god? It’s like the ten commandments. PS some of the photos ain’t half bad tho! 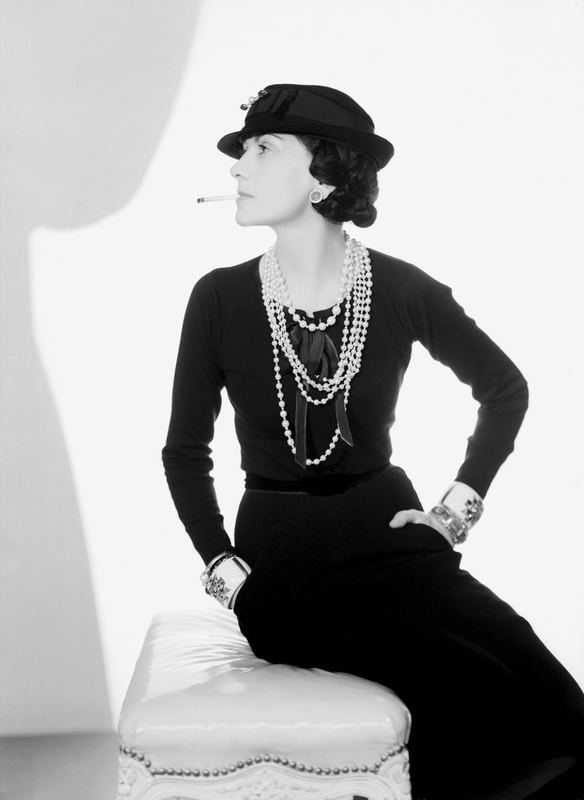 In the 1920s Coco Chanel chiefly influenced the type of the “new woman”. She established skirts that reached just below the knee, encouraged women to wear trousers and represents functional ladies wear. 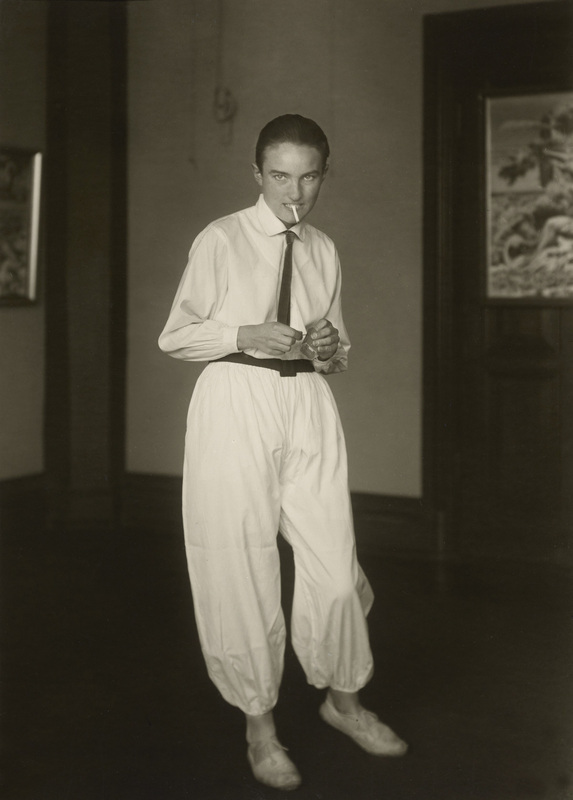 In the photographs by among others Yva, Franz Roth, Lotte Jacobi and Hein Gorny presented here, women show legs in silk stockings, wear cropped hair, drive motorbikes or automobiles and play tennis or go into baths. In this period women begin to take charge of their lives. Being a photographer offered the opportunity to express this new notion of the self in images and in life. 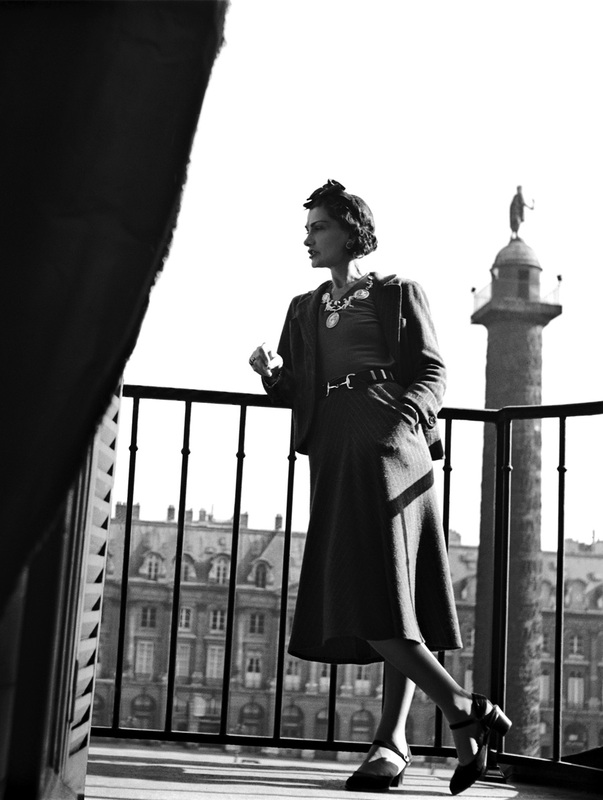 The special display of the Photography Department coincides with the exhibition The Chanel Legend. 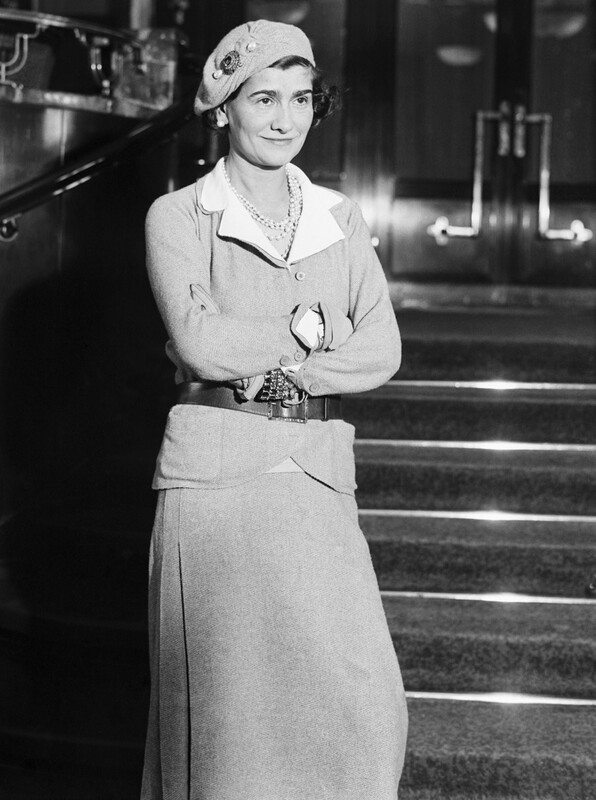 Coco Chanel (1883-1971) is one of the most eminent couturières of the twentieth century. She already appears as an advocate of simple, comfortable clothes in the years just after 1910, thus helping to pave the way for a style which has retained its major importance in the fashion world till today. Such outstanding fashion classics as the “little black dress”, the Chanel Suit and the Chanel handbag are inseparably linked with her person. Since her start-up in 1913, Chanel has built up an international and, till the present day, astoundingly successful fashion empire. It is not until 1983, in the shape of Karl Lagerfeld, that a personality with anything like her charisma and influence becomes her successor. Coco – her real name was Gabrielle – Chanel launched her perfume Chanel N° 5, whose overwhelming commercial success guaranteed her a financial independence which was to last all her life, at the beginning of the 1920s. 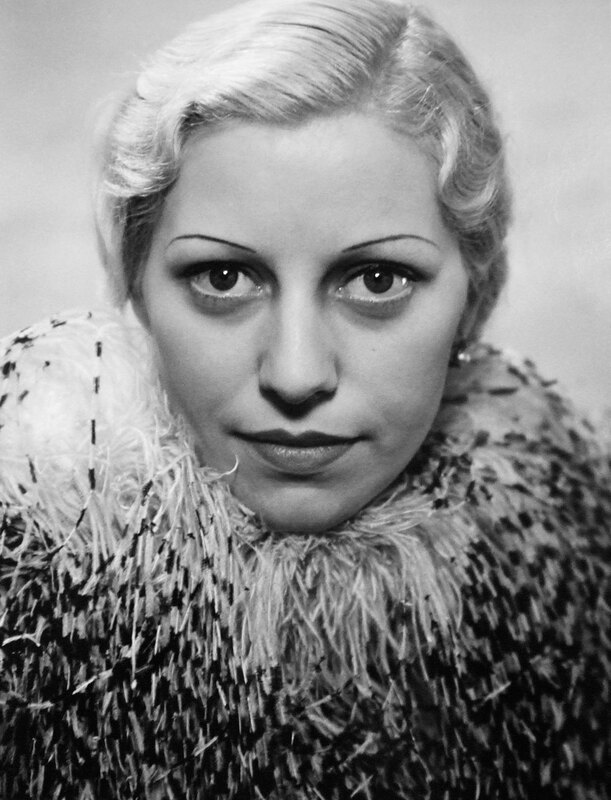 She combined fashion jewellery and genuine gemstones with surefooted confidence and had herself portraited by celebrity photographers such as Man Ray or Horst P. Horst. The Chanel Legend investigates why it is that the person of Coco Chanel and the brand she established have attracted such huge attention up to and including the present. It will turn the spotlight both on the fashion designer’s biography and the image which she created for herself, as well as the brilliant achievement of Karl Lagerfeld (*1933) in combining this legacy with the fluctuating currents of contemporary taste since 1983. The exhibition shows a total of more than 200 objects from eminent collections, including women’s suits, accessoires, jewellery, advertising graphic, historical photographs and over 75 fashion magazines spanning a period from 1920 to1971. Besides more than 54 original garments, among them 38 created by Coco Chanel, and some 50 jewellery creations, over 35 adaptions of the Chanel classics can be seen for the first time, which in their own individual way give us a new appreciation of the “Chanel Legend”. 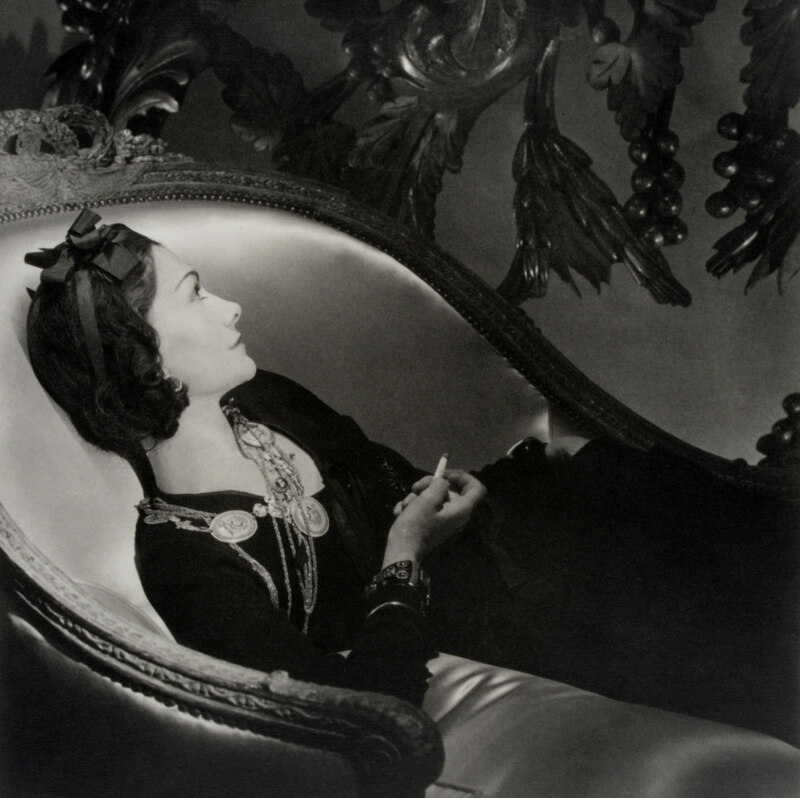 The exhibition approaches the “Chanel Legend” in three chapters. The first documents, with 38 original garments, accessoires and more than 50 items of fashion jewellery from the period between 1925 and 1971 the fashion designer’s oeuvre. 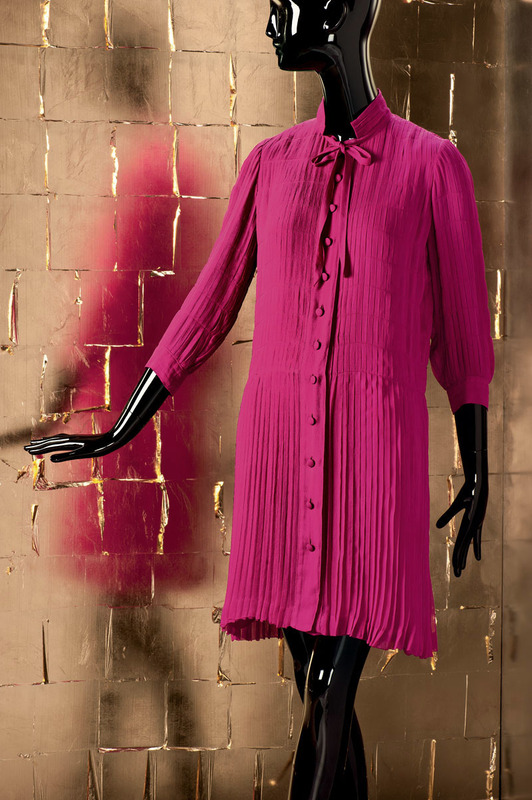 Designs for evening and day wear and the perfume Chanel N° 5, of which an original flacon is on show, belong to Chanel’s pre-Second World War creative phase. After her return to Paris in 1954, Chanel continued to lead her firm up to her death in 1971. 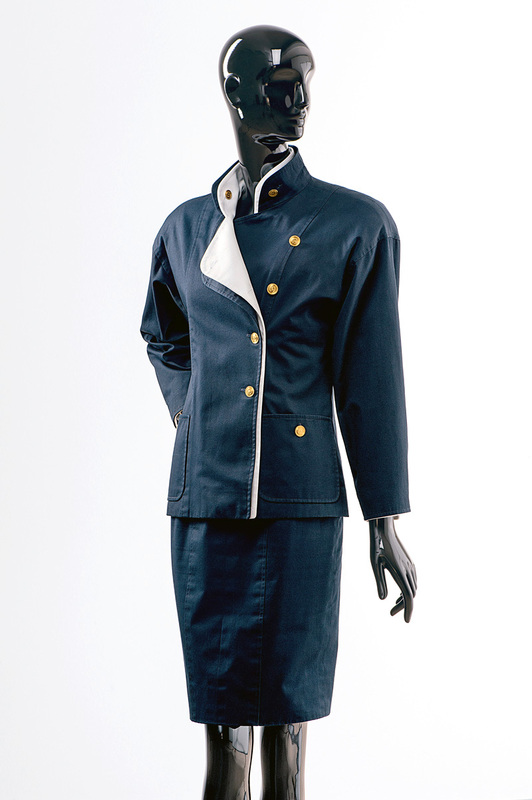 The exhibition shows, among other items from this period, some 10 garments which Chanel designed for the actress and singer Marlene Dietrich, including day wear and garments for representative occasions. On top of this, a large quantity of pieces of fashion jewellery can be seen, supplemented by original photographs. The second chapter throws light on the Chanel classics, which have retained their fascination till today. 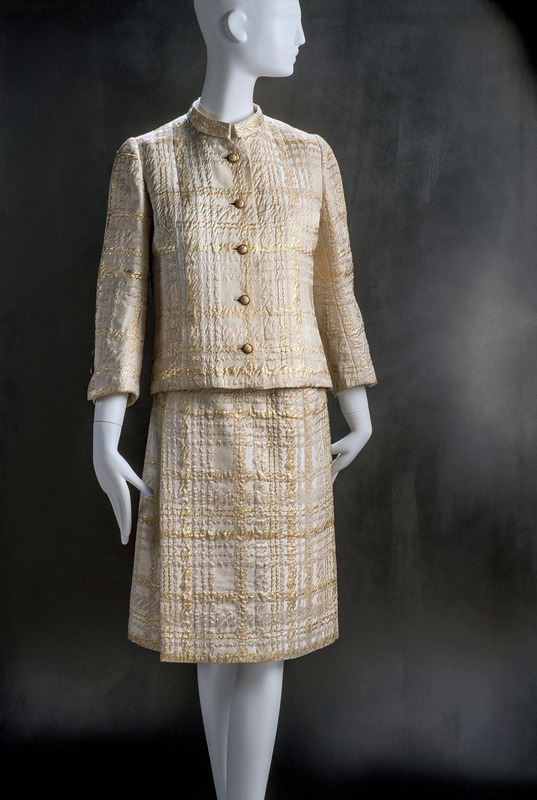 Thus historical original examples of the Chanel Suit are juxtaposed with some 20 different adaptations of it, including models from other fashion houses, unknown ateliers and garment manufacturers. The procession of “lookalikes” and “distant cousins” by no means comes to an end with Chanel’s lifetime, but integrates aspects of contemporary fashion. A selection of the endless variations on the theme of the “little black dress” from the 1920s till the present will also be on show, some of them by designers such as Yves Saint Laurent, Max Heyman and Issey Miyake or Nina Ricci. They should by no means be seen as just copies of Chanel models. 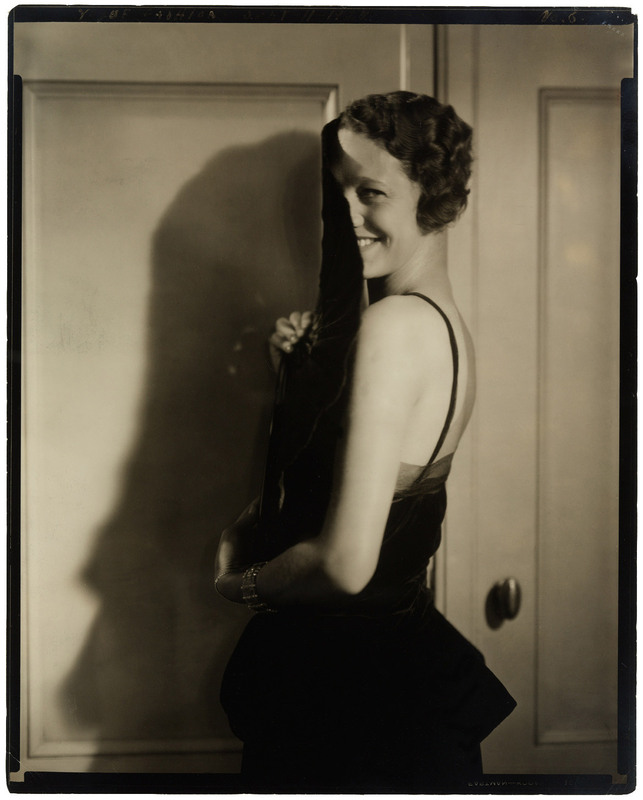 The short black dress was in keeping with the modern, dynamic lifestyle of the 1920s. Later the “little black dress” is an indispensable requisite in every woman’s wardrobe and, in the Fifties and Sixties, the epitome of Parisian chic. In the third section, the focus is on Karl Lagerfeld’s creations for the House of Chanel. He succeeded in modernising the brand without sacrificing the features which were typical for it. The exhibition shows in particular items which quote the Chanel classics, or pay homage to his revered predecessor in some of their details. This selection, too, is complemented by fashion jewellery. The development comes full circle here, since Lagerfeld’s present winter collection for 2013/14 playfully quotes references to Coco Chanel’s legendary initial phase in the 1920s. More than 100 historical fashion magazines spanning a period from 1920 to 1971 can also be seen in the exhibition, including an issue of the American Vogue dated 1st October 1926 in which the “little black dress” is shown. Magazines were the most important medium for the propagation and reception of Chanel’s fashion. Visitors can leaf through them on the tablet computers provided. Gabrielle Chanel, who grew up in humble circumstances, opened her first Couture Salon in Paris in 1913, after she had already set up in business in 1908 as a modiste. In 1919 she moved to the Rue Cambon 31, which is still the address of the House of Chanel today. 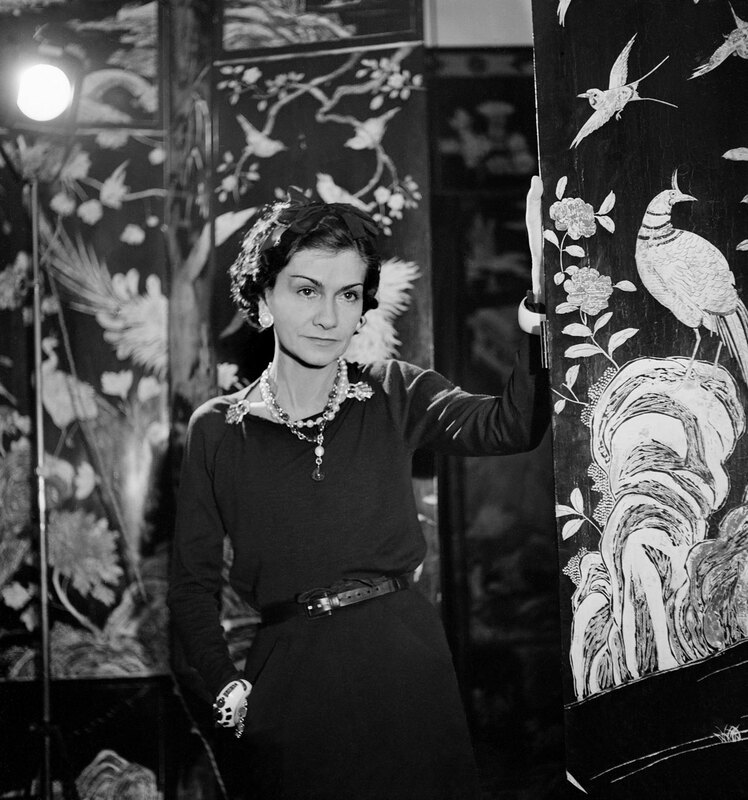 Coco Chanel’s first creative phase ended with the outbreak of war in 1939. Her fashion house stayed shut for 15 years before she dared a comeback in 1954, at the age of 70. The exhibition shows creations by Chanel from both periods. The “little black dress” becomes her trademark. Further models of day and evening wear show to what extent the fashion designer had her finger on the pulse of her time, and at the same time bear witness to the high quality of her models both in design and execution. 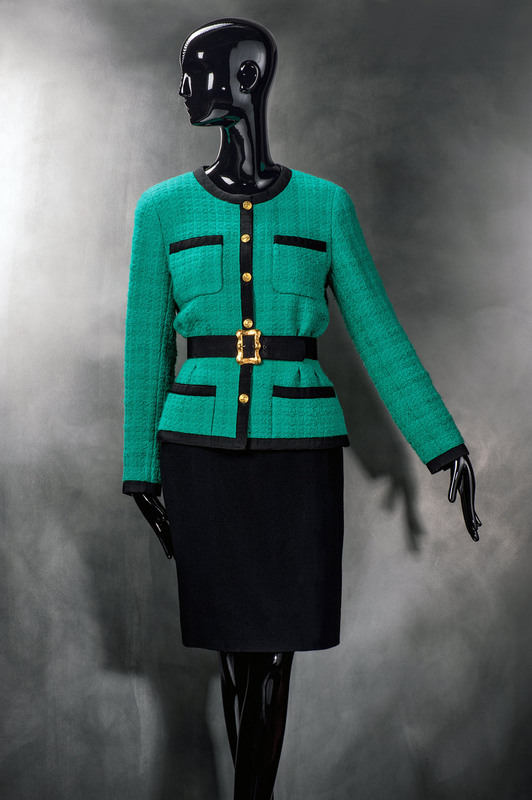 In the 1950s and 1960s it is her women’s suits which cause a furore, first and foremost the “Chanel Suit”, which she first presented at a fashion show in 1957. Her celebrated quilted handbag, launched in February 1955 and called, simply, “2.55”, has long since attained the status of a classic and is a must in every collection of the luxury label. Her collections were always supplemented by matching fashion jewellery. Till today, Coco Chanel appears as an enigmatic and fascinating personality, and has been the theme of many films and books. Fierce controversy also surrounds her links to decision-makers of the Third Reich too, however, up to the present day. he reception of Coco Chanel’s fashion and her style is already very widespread in her lifetime. A comparison with other contemporary couturiers reveals that Coco Chanel operated a very tolerant policy as regards the copyright for her models: The fashion designer allowed her models to be copied up to a certain point with her consent. For her, it was an acknowledgement of her eminence if women all over the world dressed in her style – an aspect whose influence on the “Chanel Legend” should not be underestimated, and which is investigated in this exhibition for the first time. 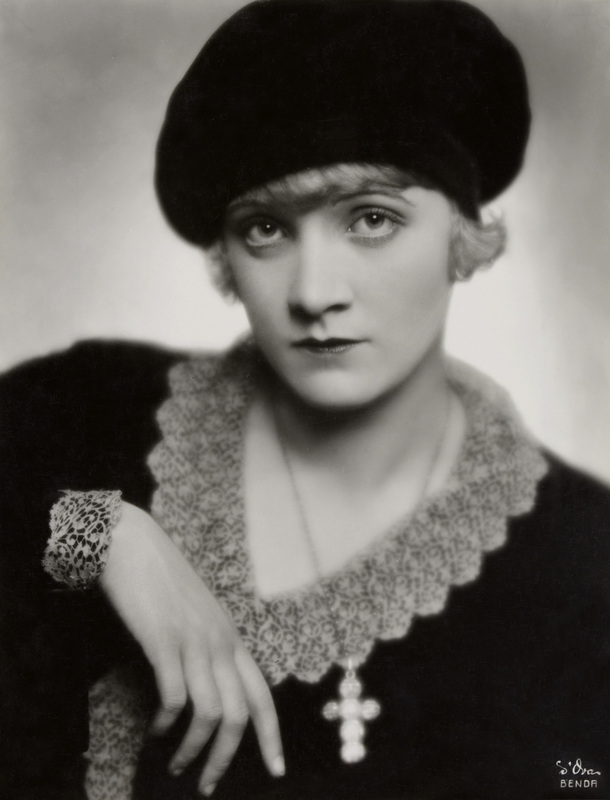 In October 1926, the American Vogue magazine described a short black dress by Chanel as “The Chanel Ford – the frock that all the world will wear”. This drew a parallel between Chanel’s dress in its universality and modernity and one of the most important inventions of the time and prophesied a great future for it. This is the birth of the “little black dress”. And although Chanel was not the first couturier to design simple black dresses for day wear it nevertheless remains inseparably linked with her name. Even the perhaps most celebrated “little black dress”, that worn by Audrey Hepburn in the film classic “Breakfast at Tiffany’s”, is often wrongly attributed to Chanel. 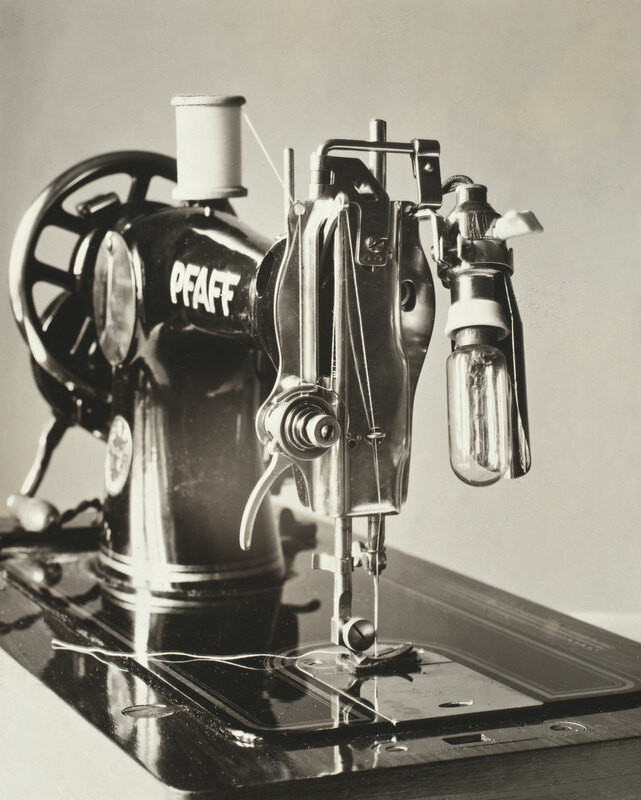 The exhibition traces the development of the fashion classic from the 1920s till today. 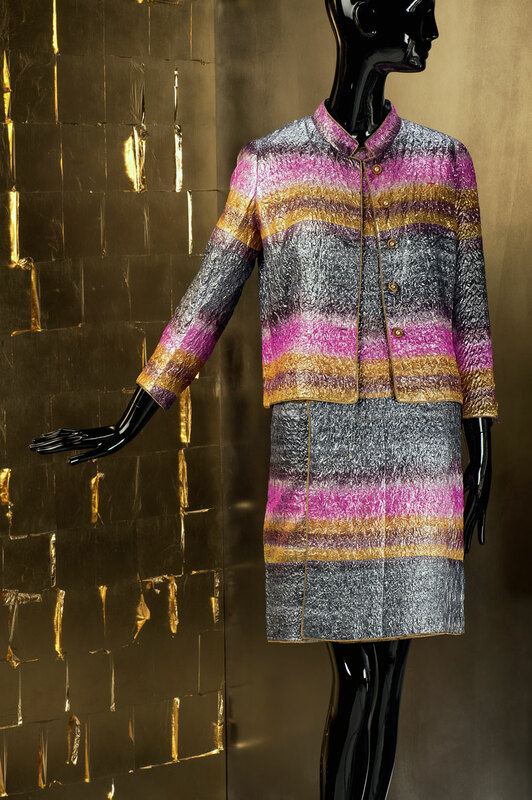 Another model which has gone down as an icon in fashion history is the “Chanel Suit” with its boxy, collarless jacket and often contrasting braided edgings. The term “Chanel Suit” is even quoted as a reference in the Duden. 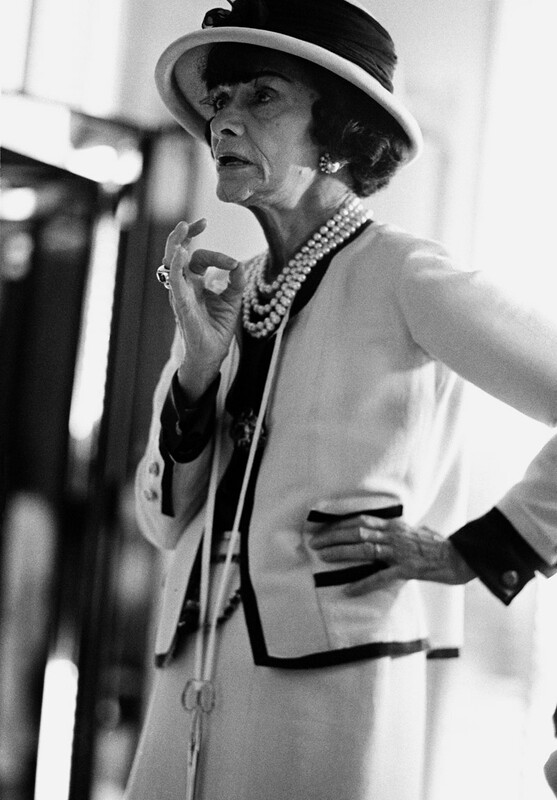 The exhibition shown here also document the fact that Coco Chanel produced a whole range of women’s suits which were adapted by other fashion houses or even home dressmakers. It is mostly no longer possible today to reconstruct whether individual models were made under licence or whether they were freely interpreted or simply copied. Irrespective of this, however, it is certain that all these models also made their contribution to the “Chanel Legend”.